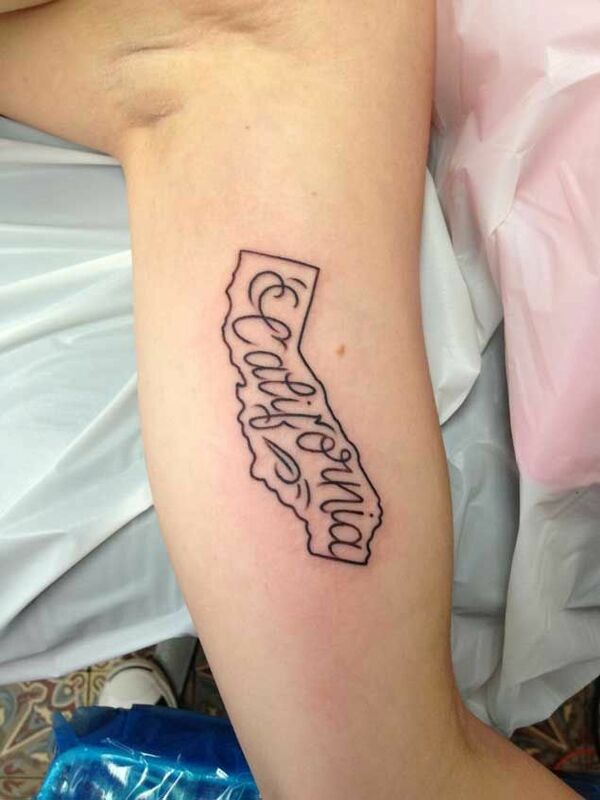 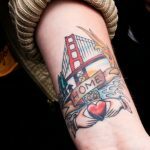 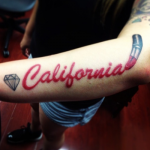 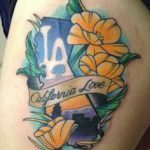 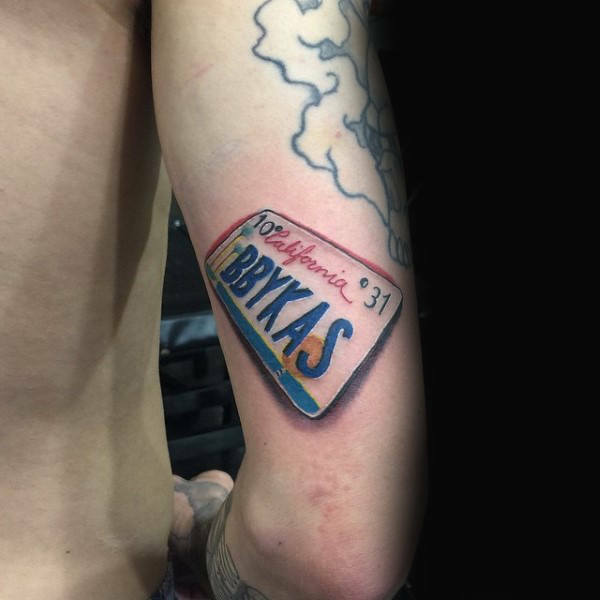 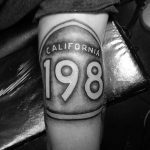 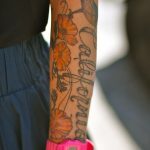 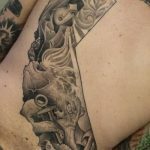 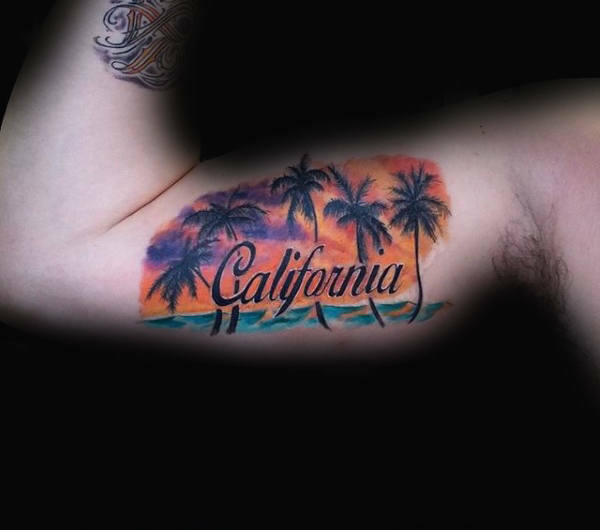 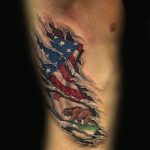 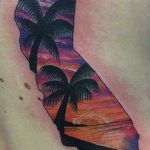 Are you thinking of getting a California tattoo? 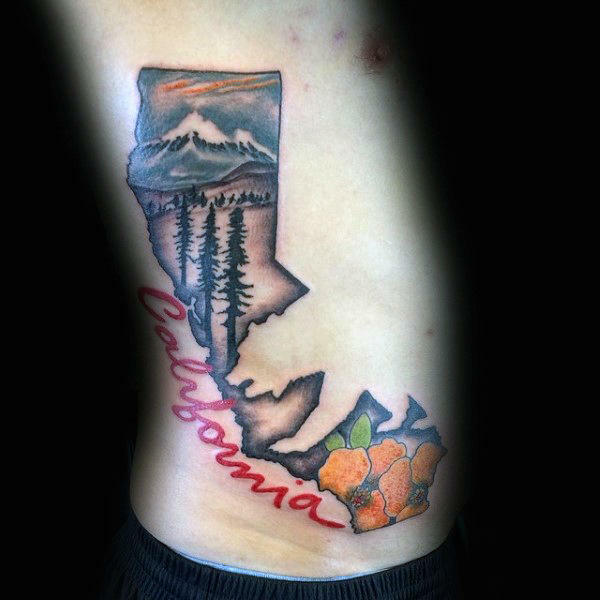 There could be many reasons to get a state tattoo. 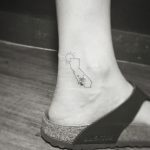 Maybe you are living abroad and miss your hometown, maybe you have many fond memories of the city you grew up, or maybe you just have so much pride for the place that shaped and made you who you are today. 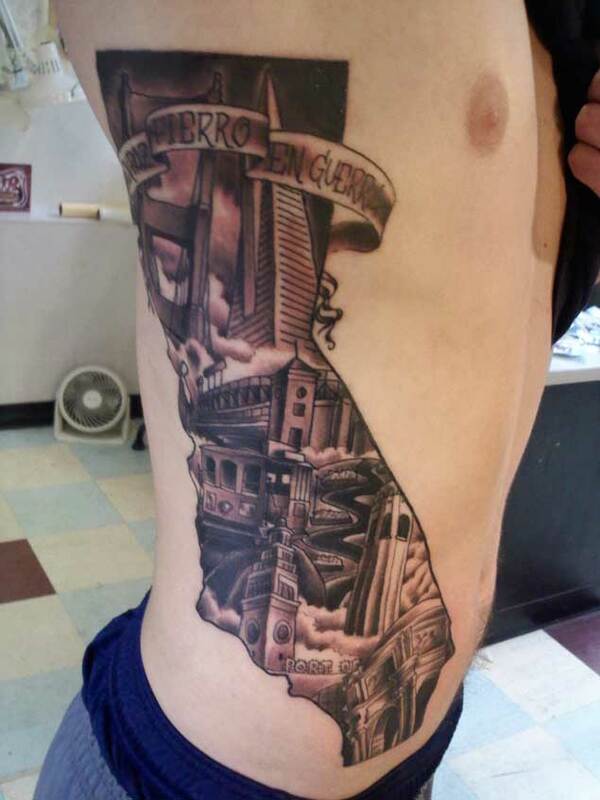 State tattoo is pretty common for people from every states. 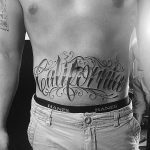 These tattoos carry so many memories of success, struggles and happiness. 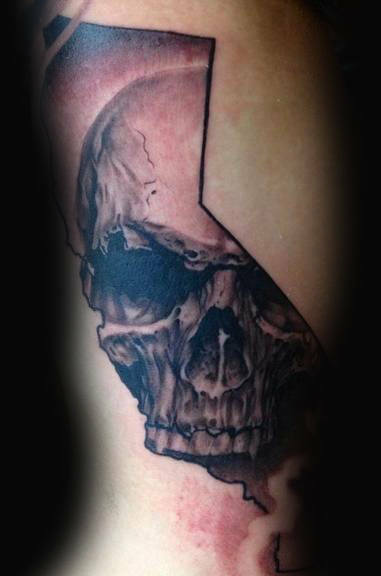 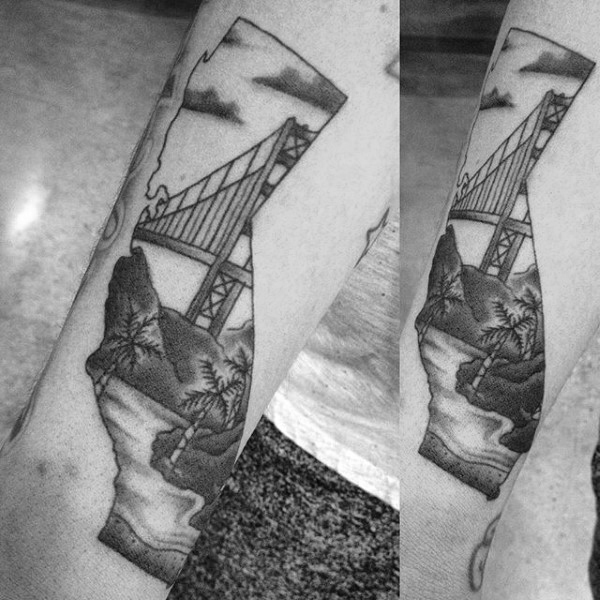 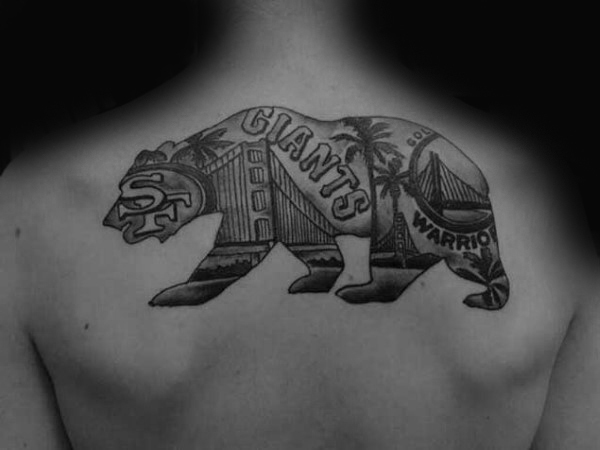 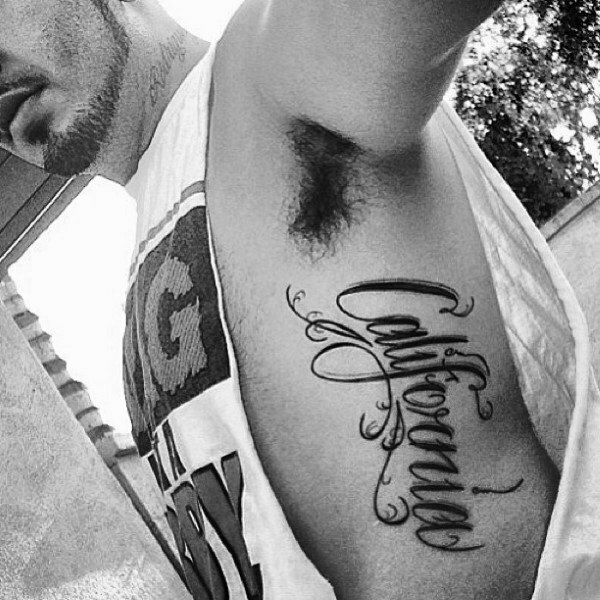 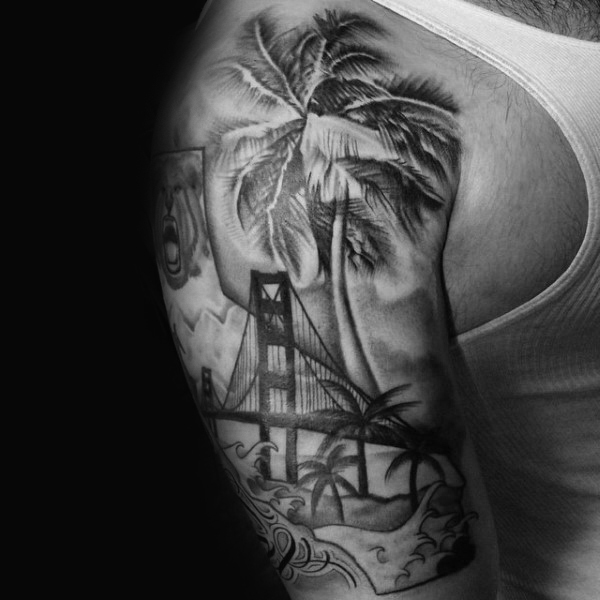 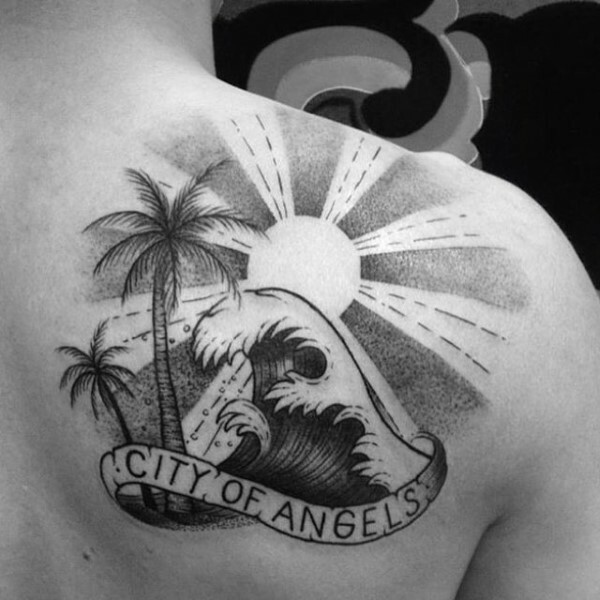 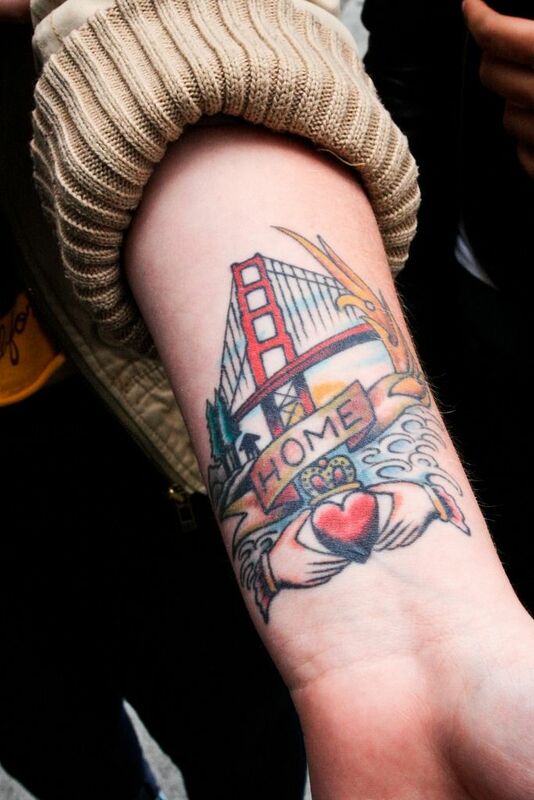 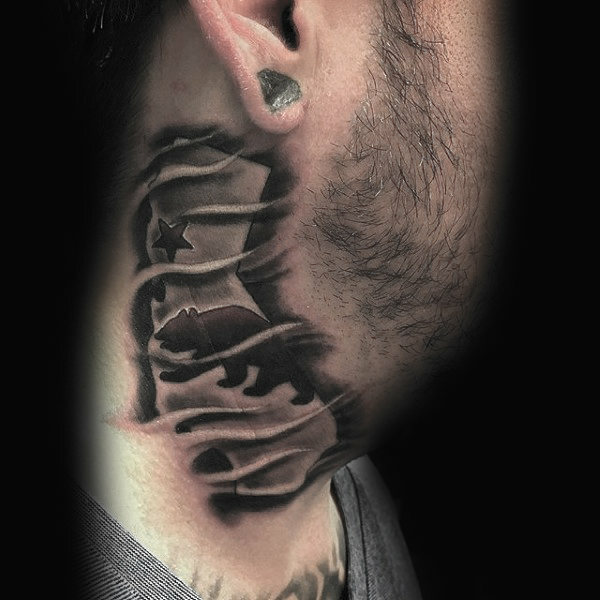 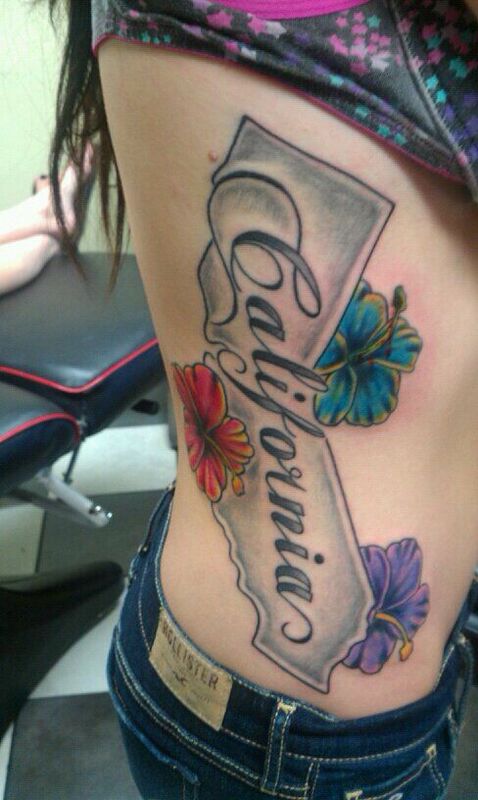 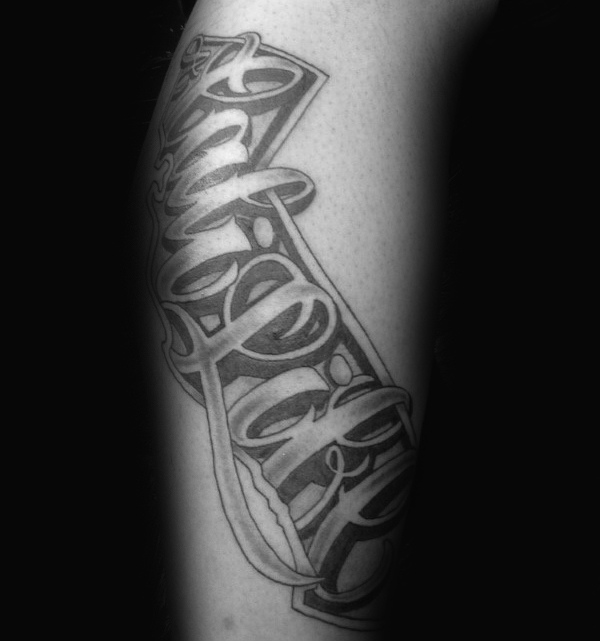 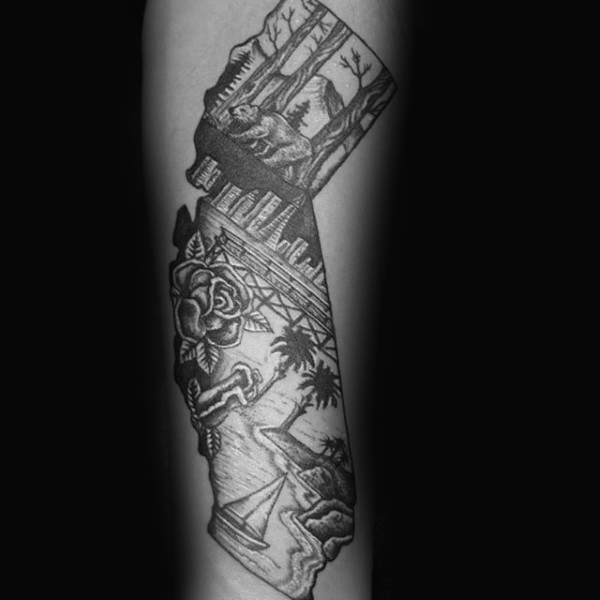 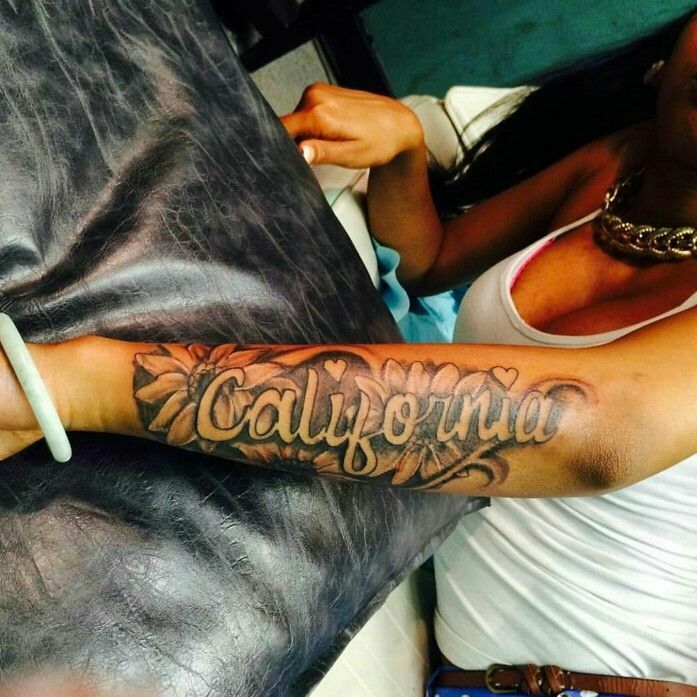 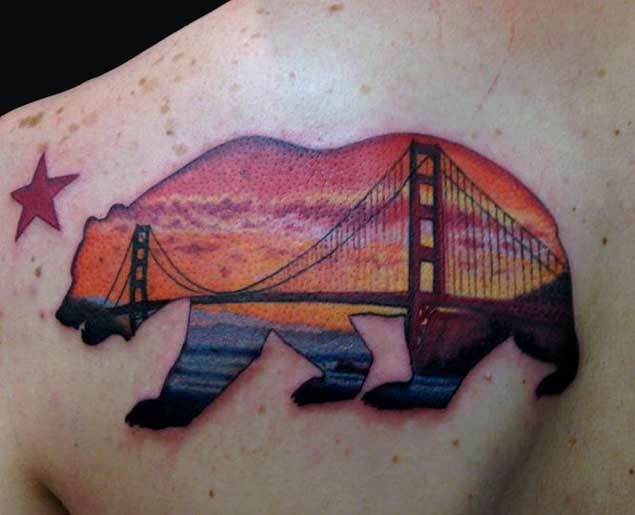 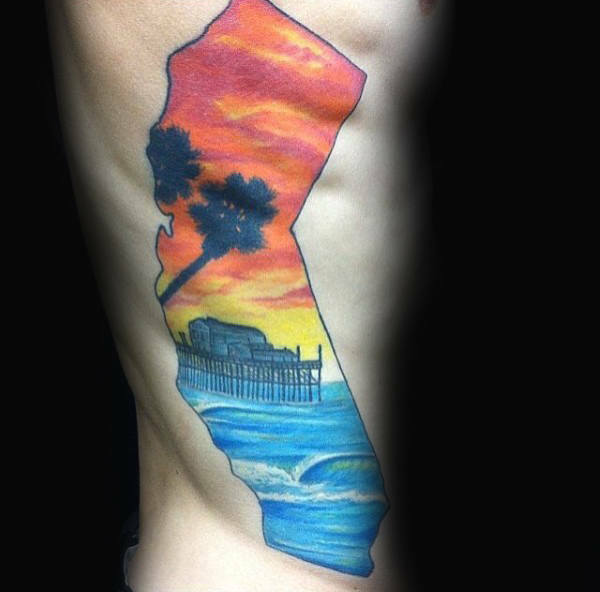 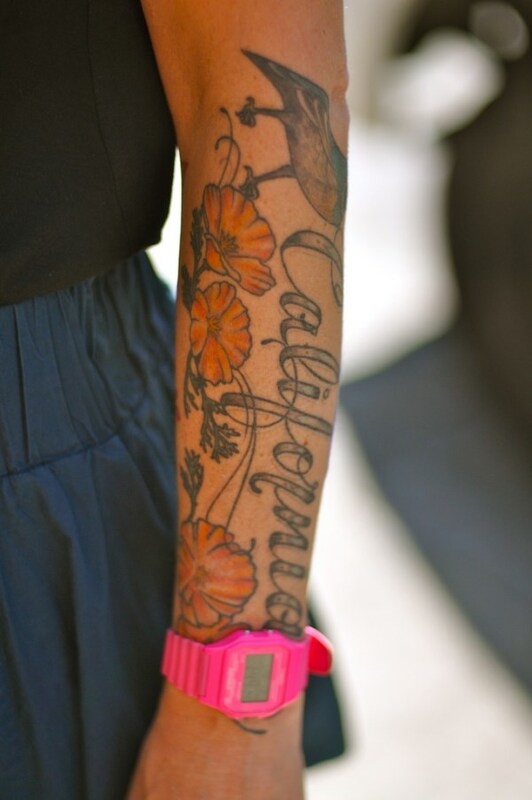 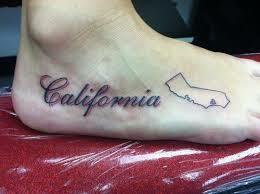 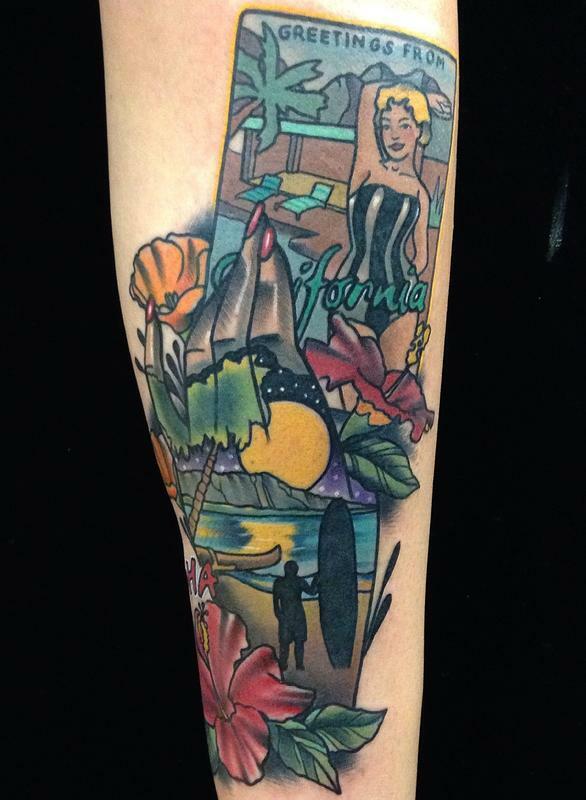 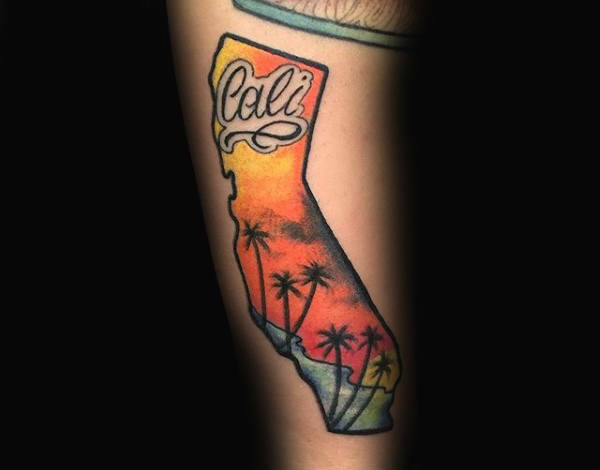 Many people get California tattoos inspired by it’s natural beauty, cities, landmarks and culture. 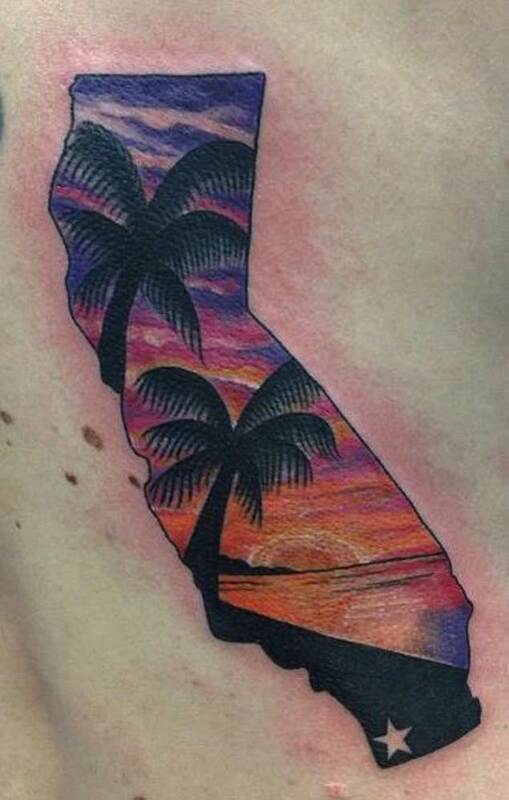 California is considered as west coast paradise. 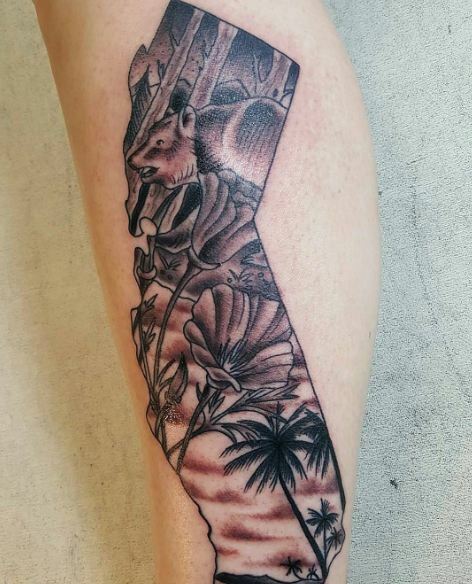 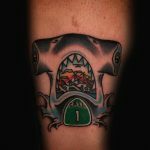 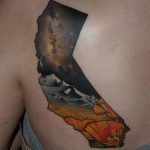 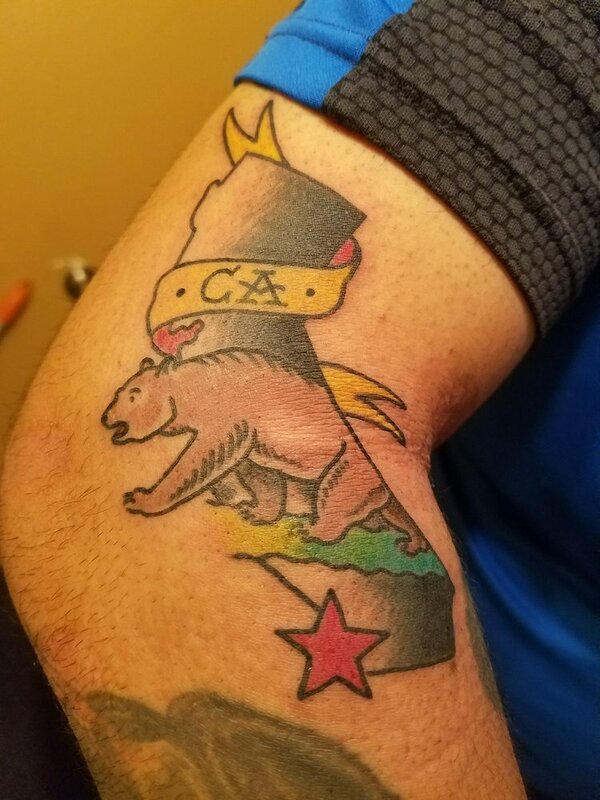 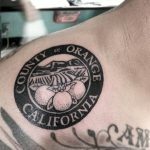 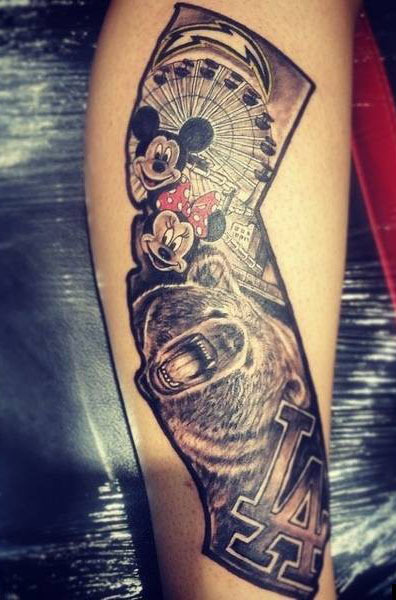 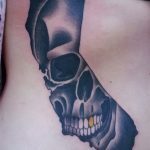 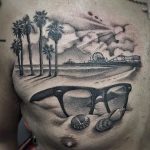 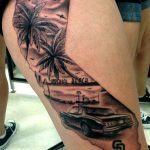 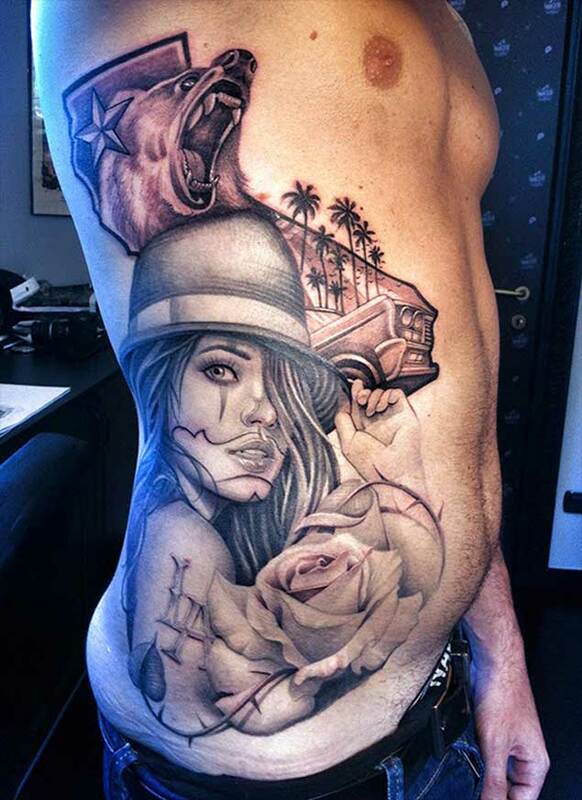 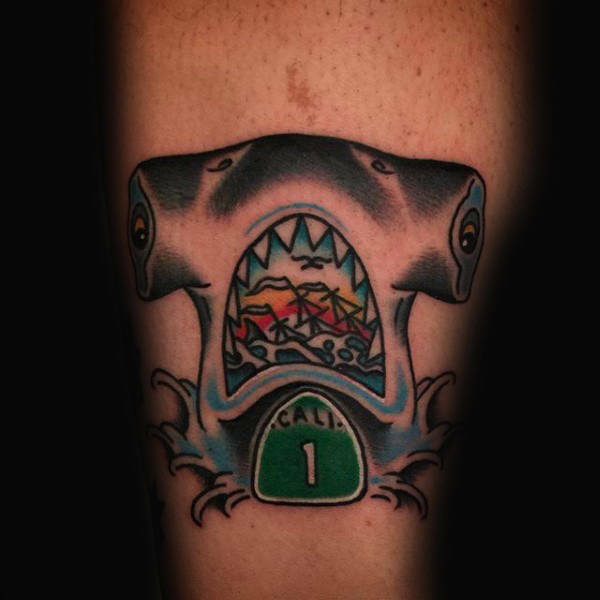 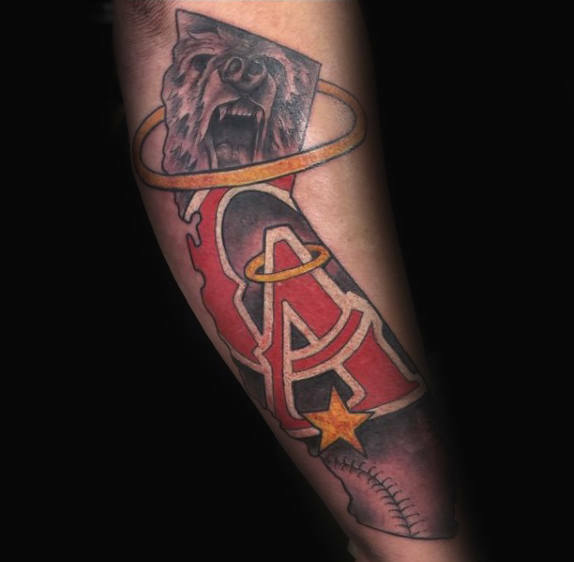 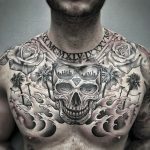 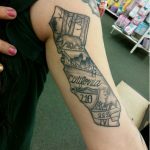 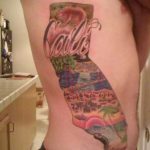 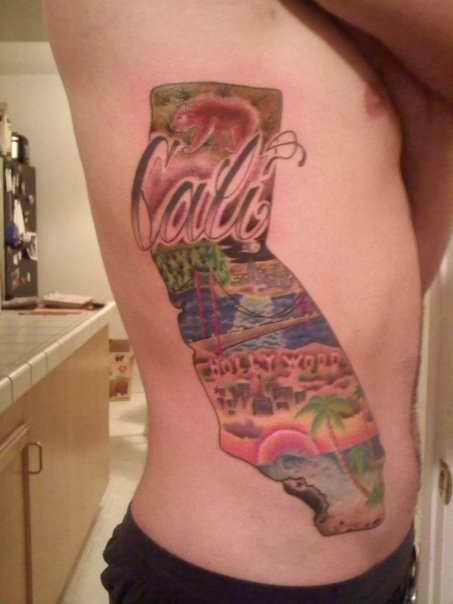 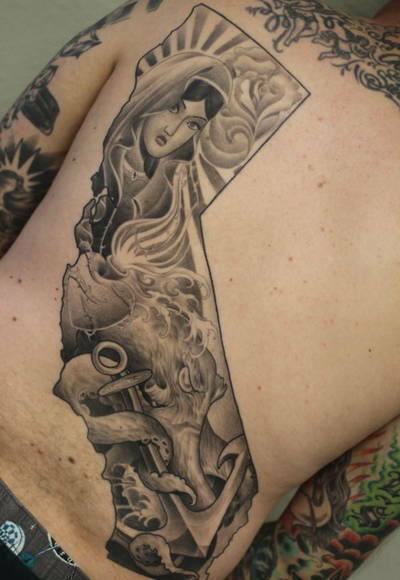 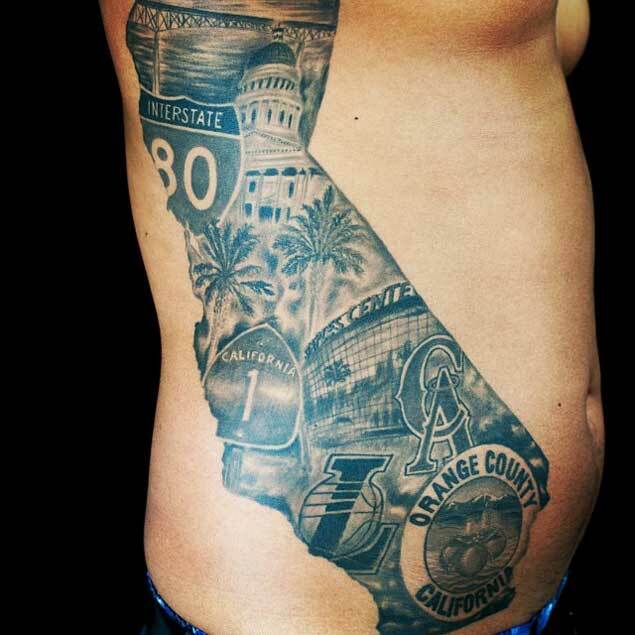 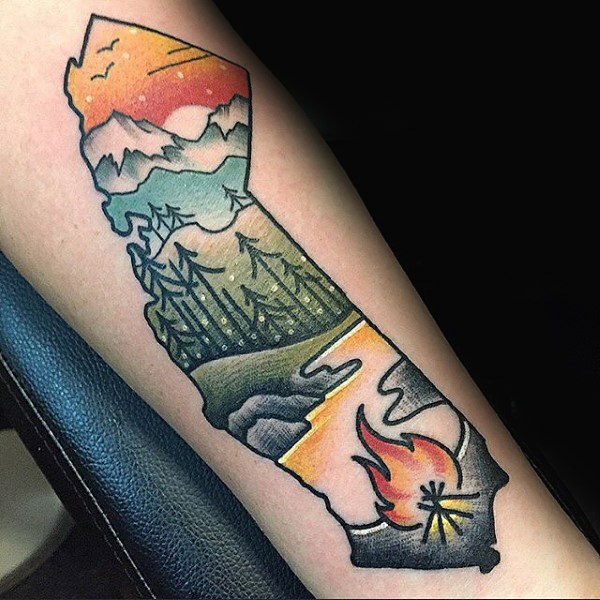 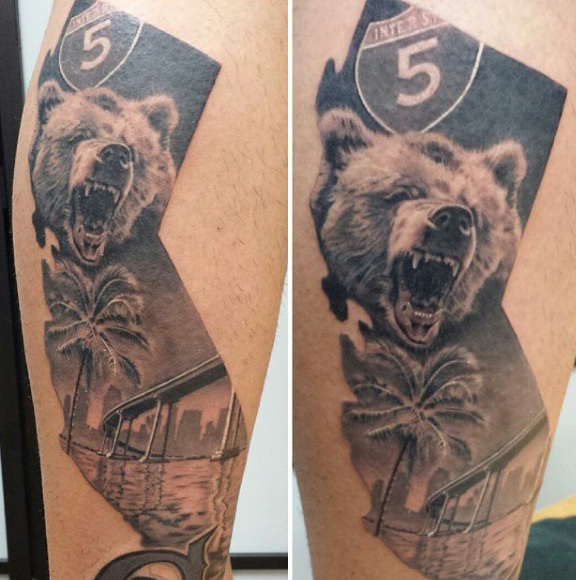 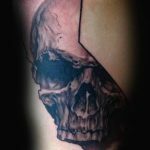 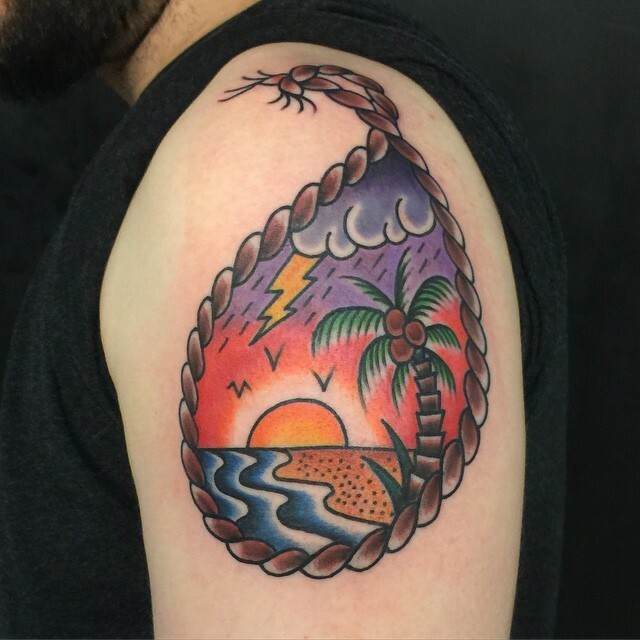 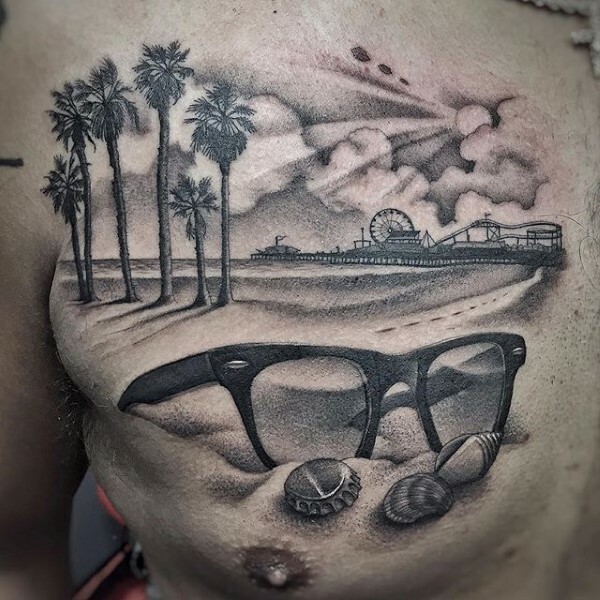 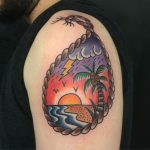 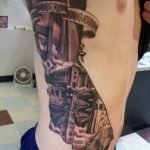 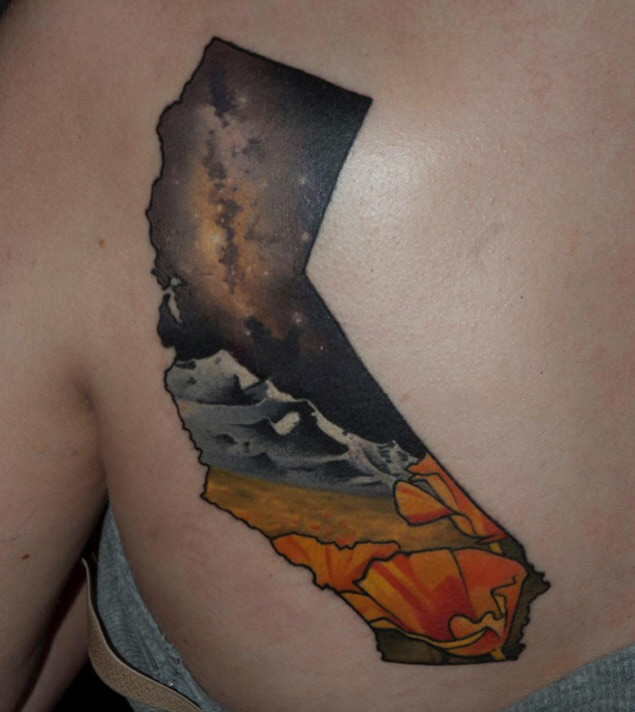 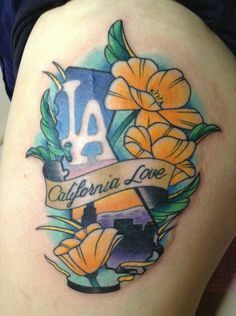 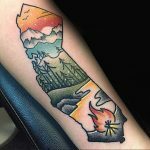 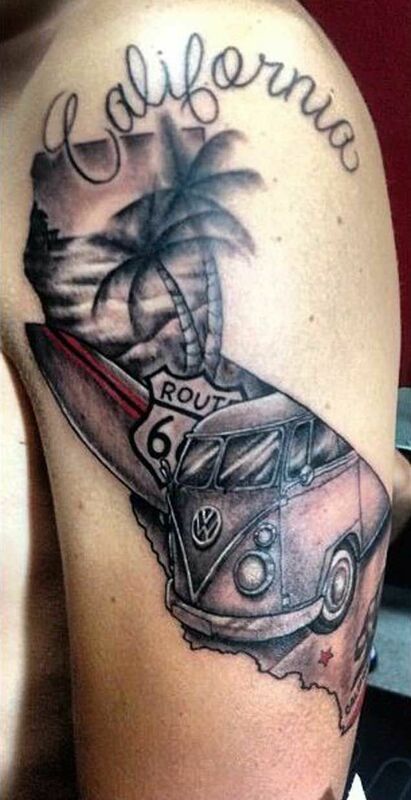 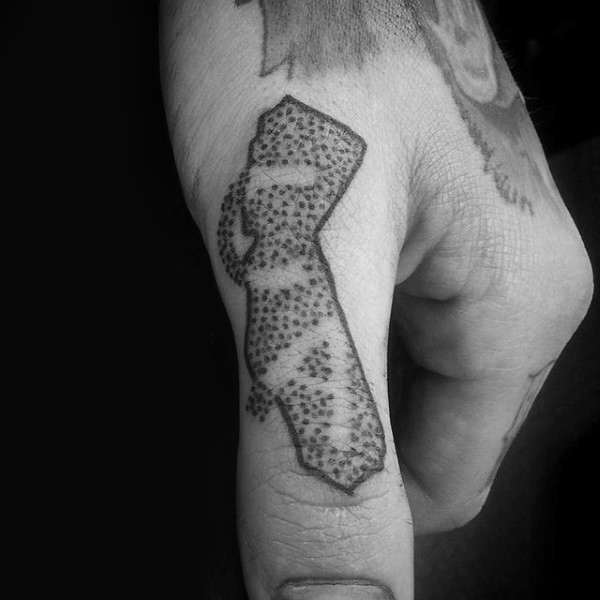 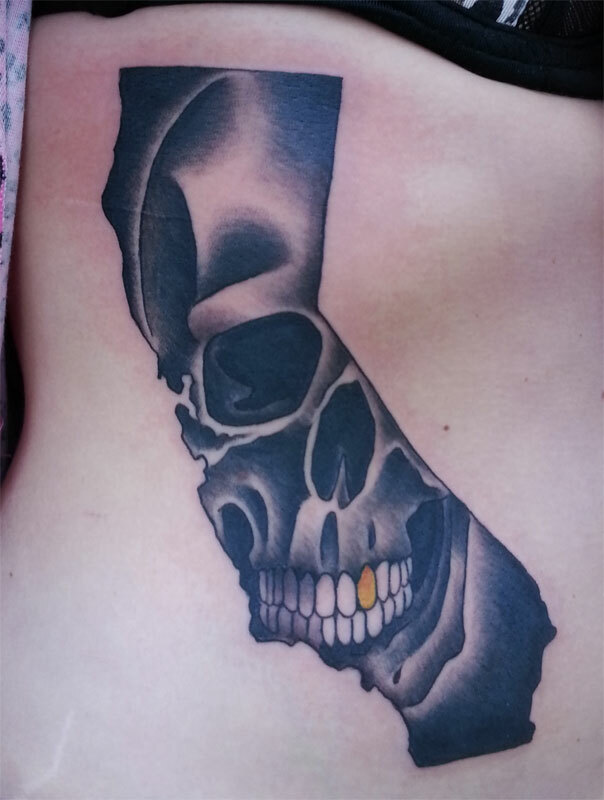 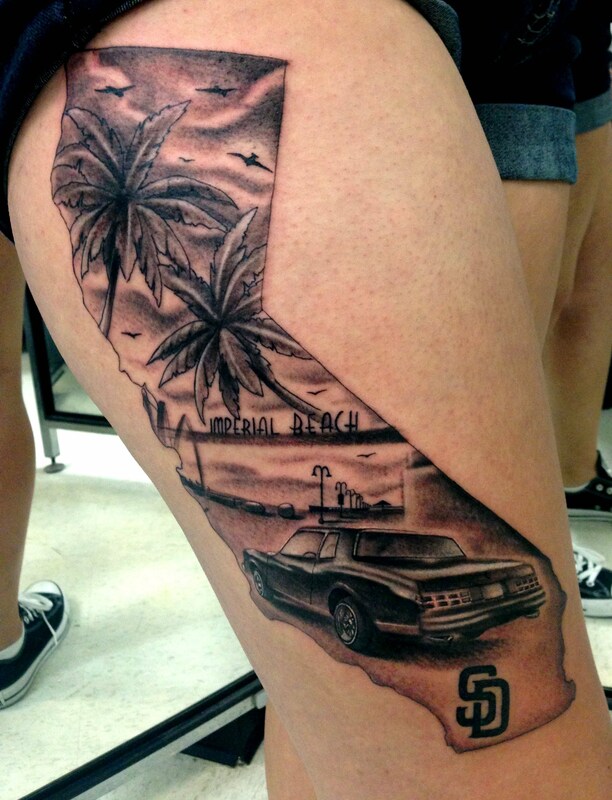 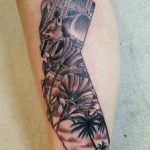 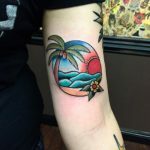 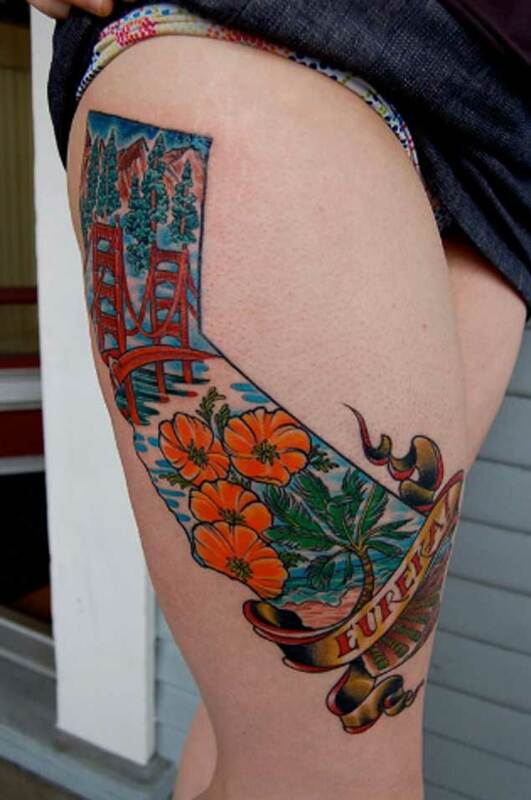 I have seen many amazing California tattoo designs on the internet. 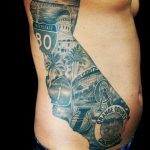 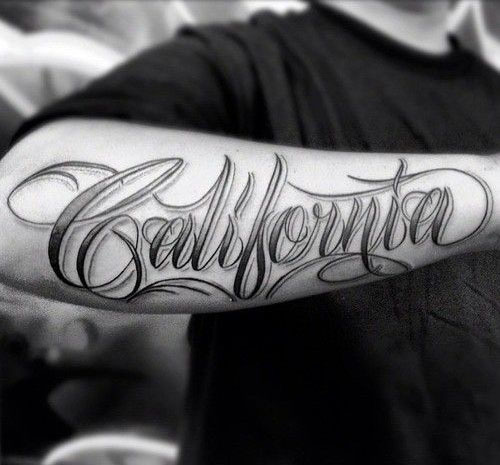 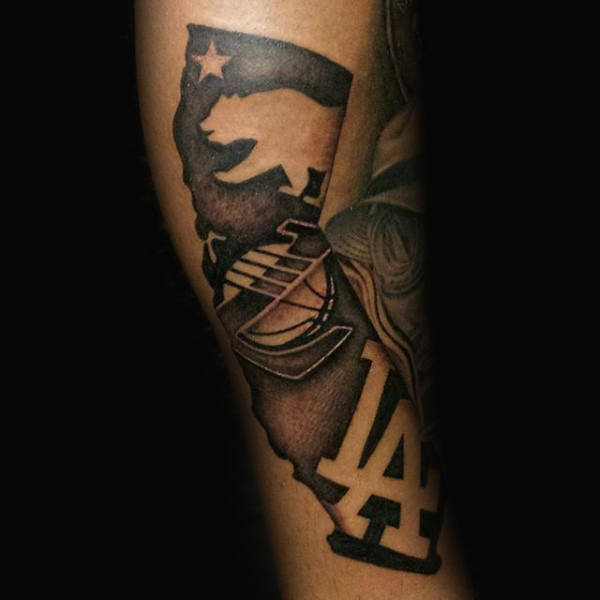 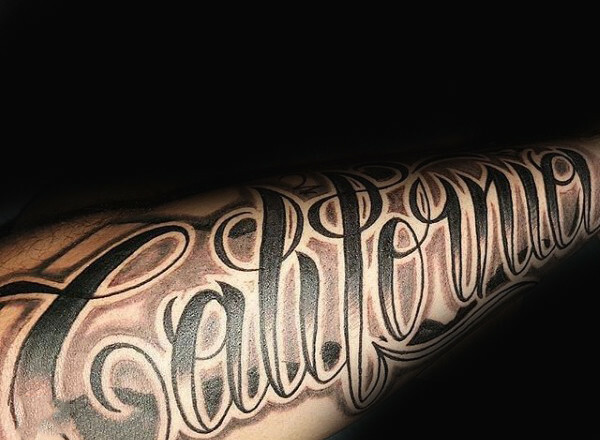 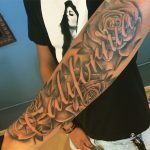 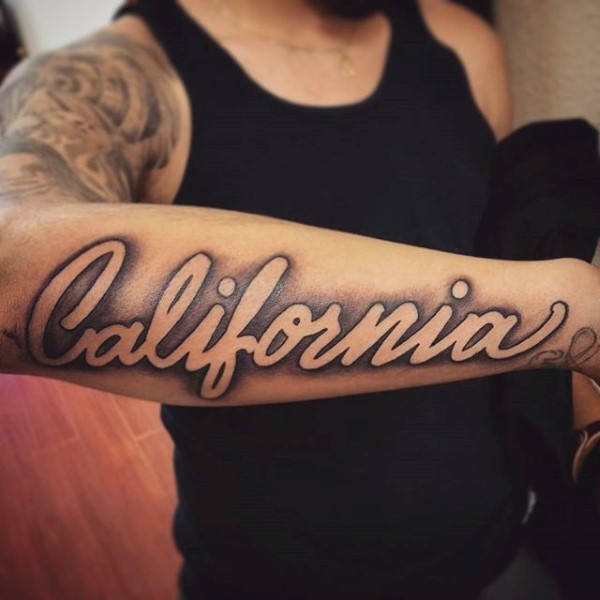 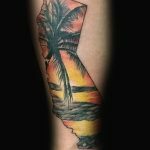 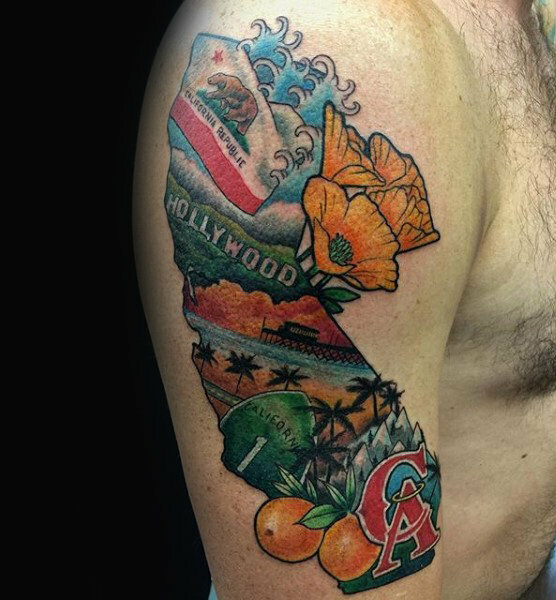 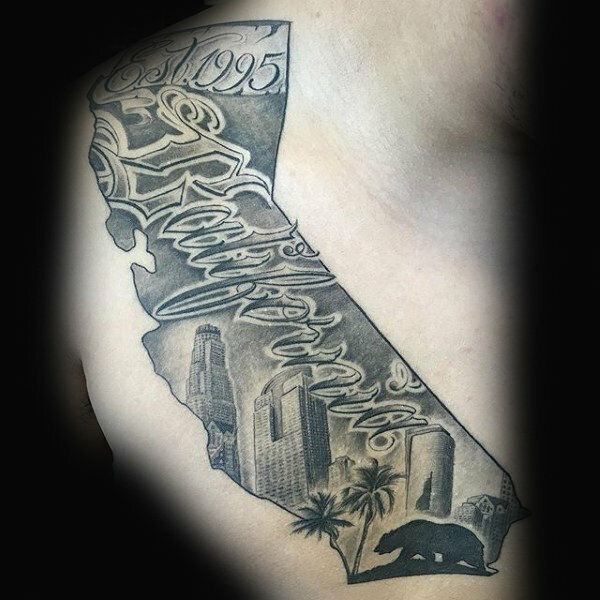 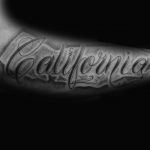 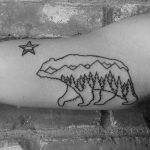 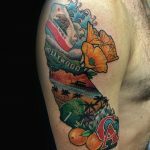 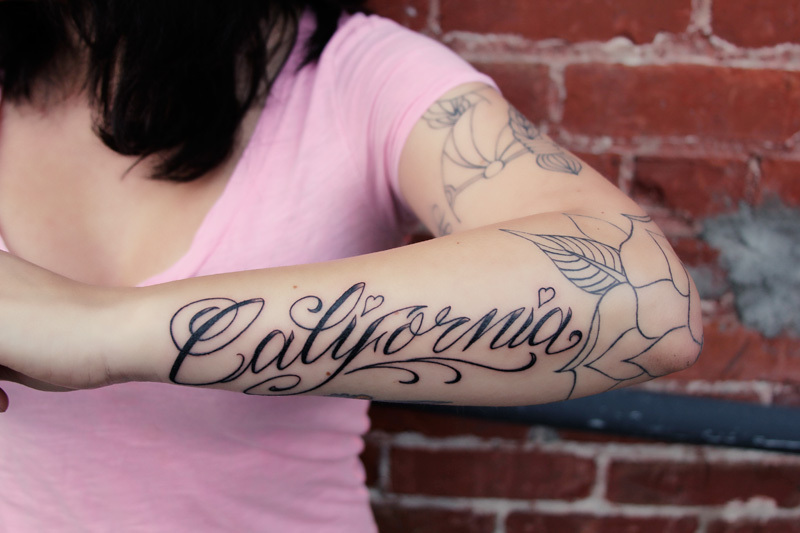 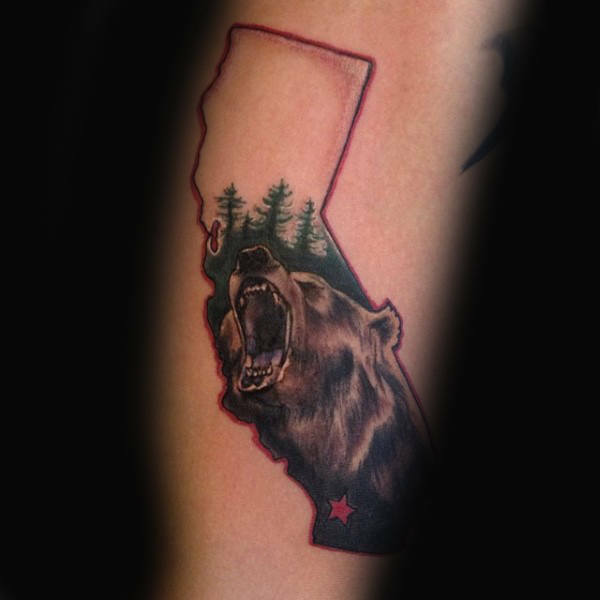 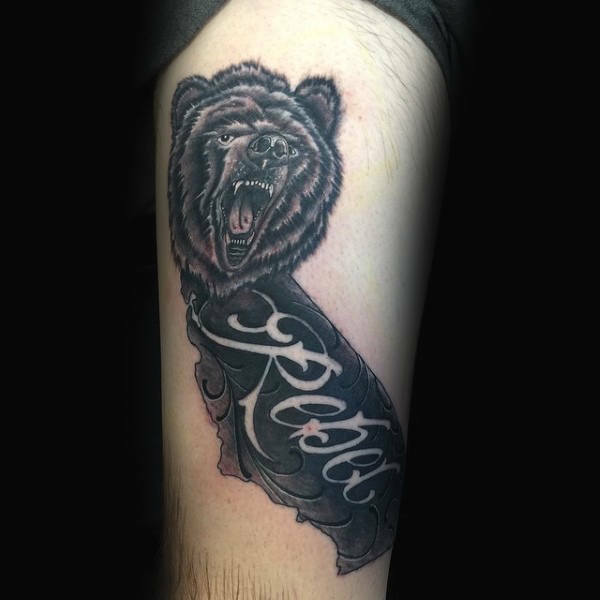 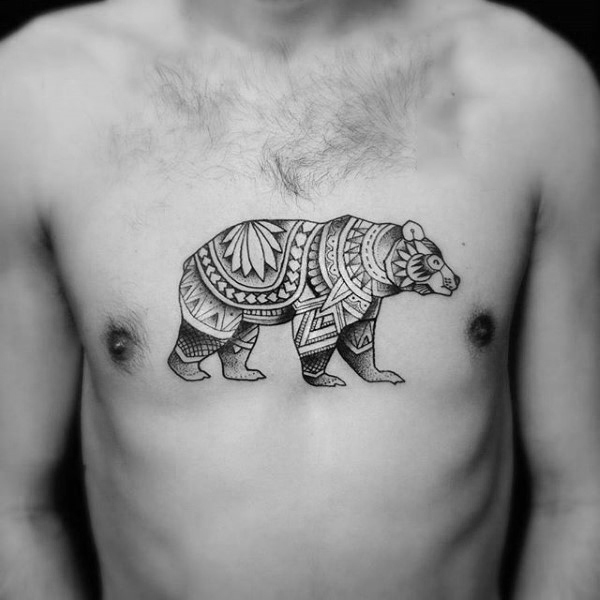 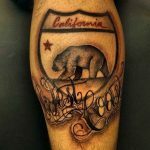 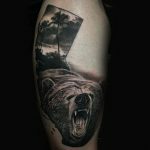 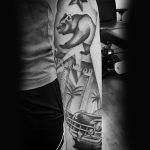 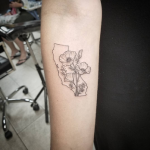 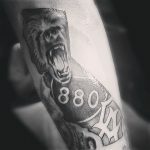 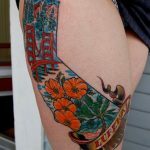 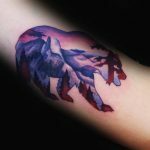 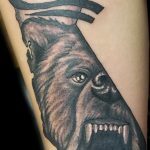 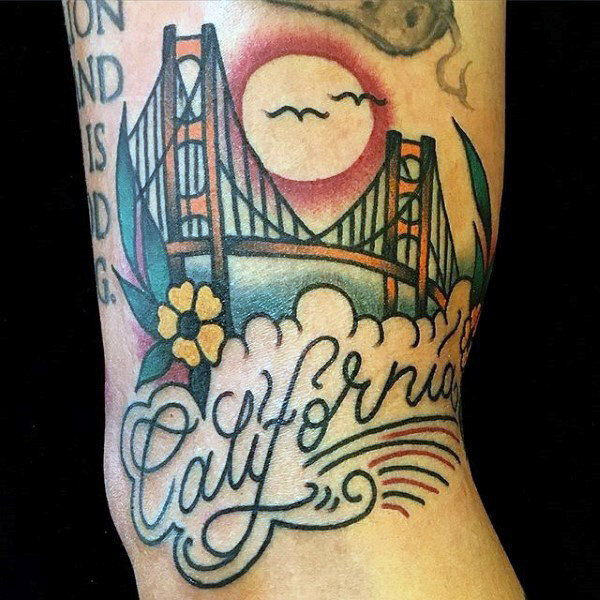 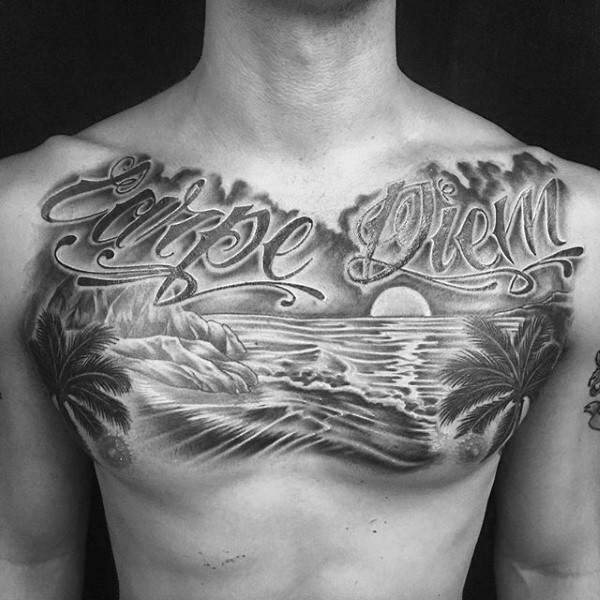 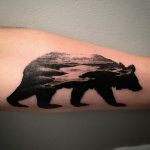 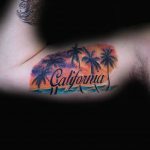 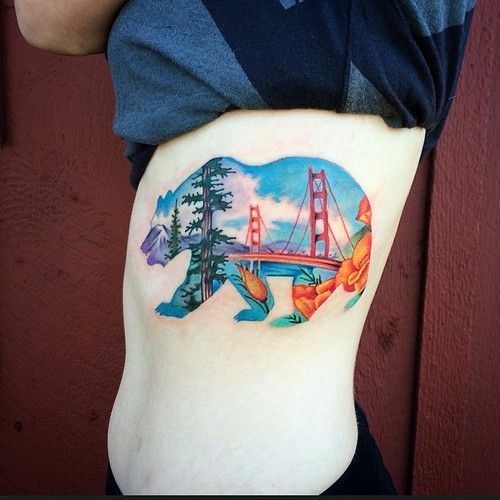 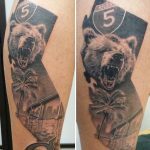 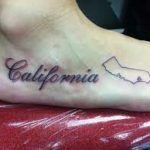 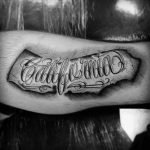 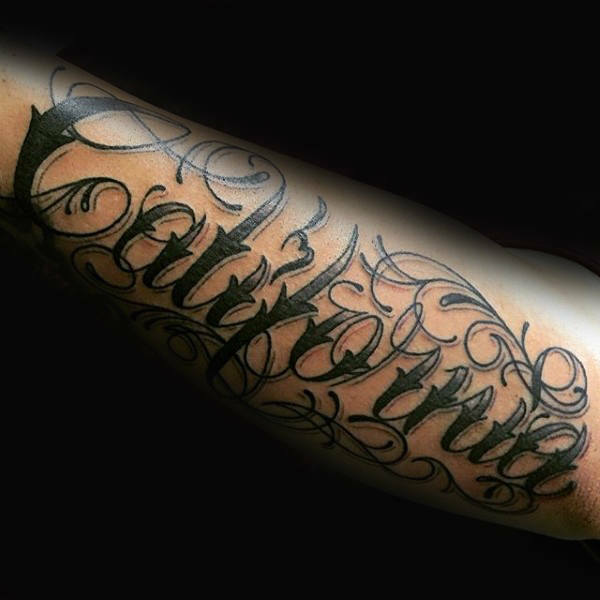 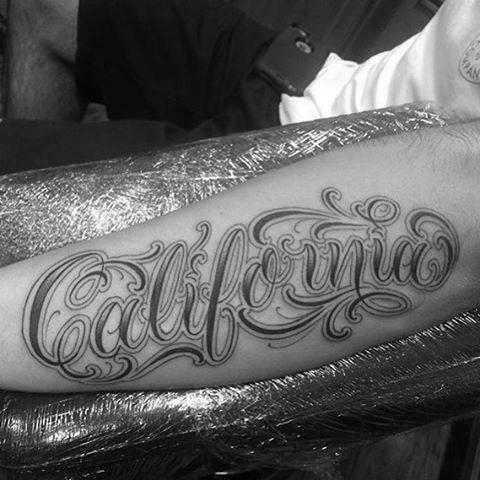 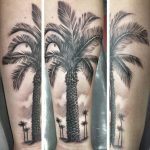 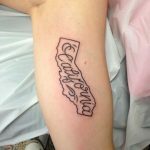 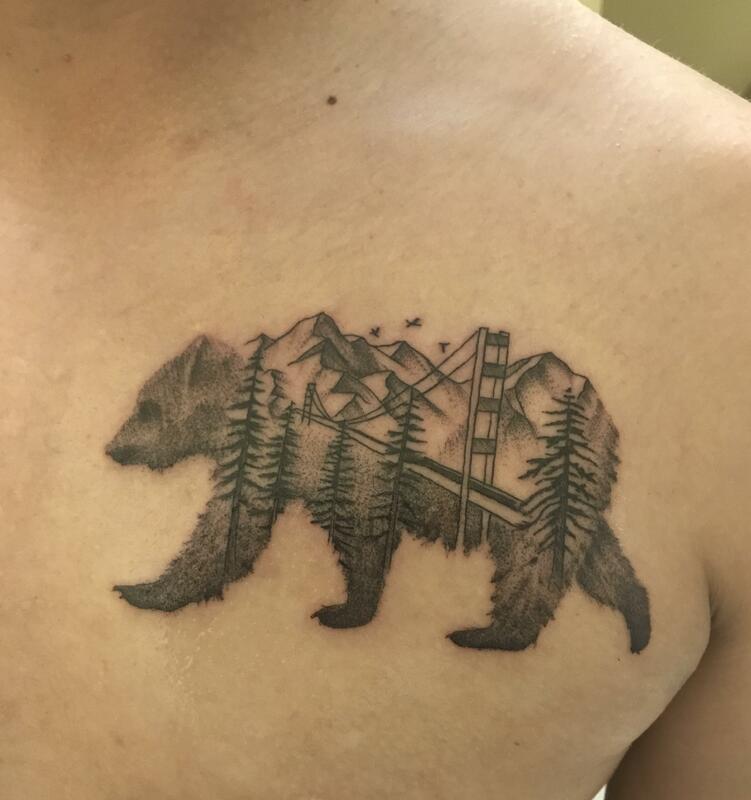 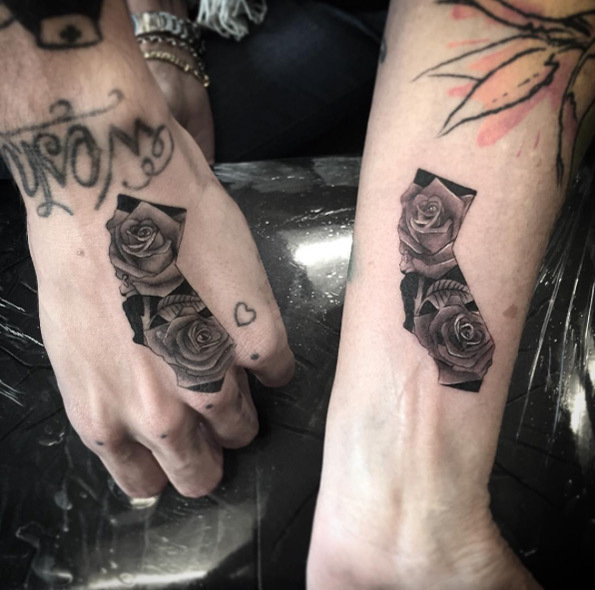 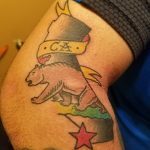 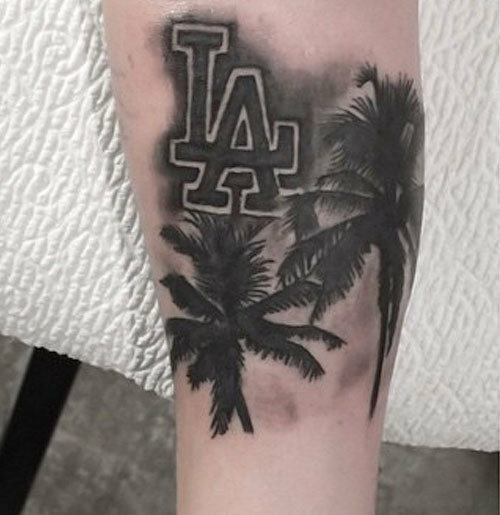 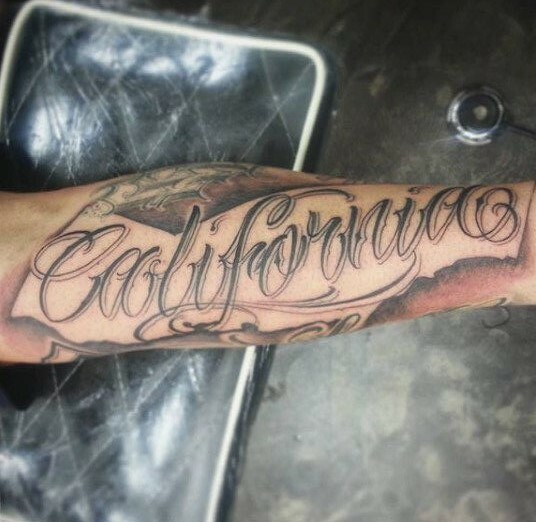 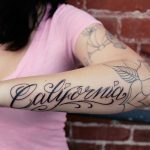 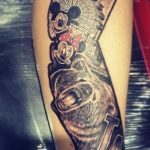 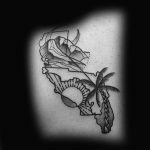 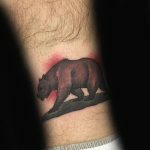 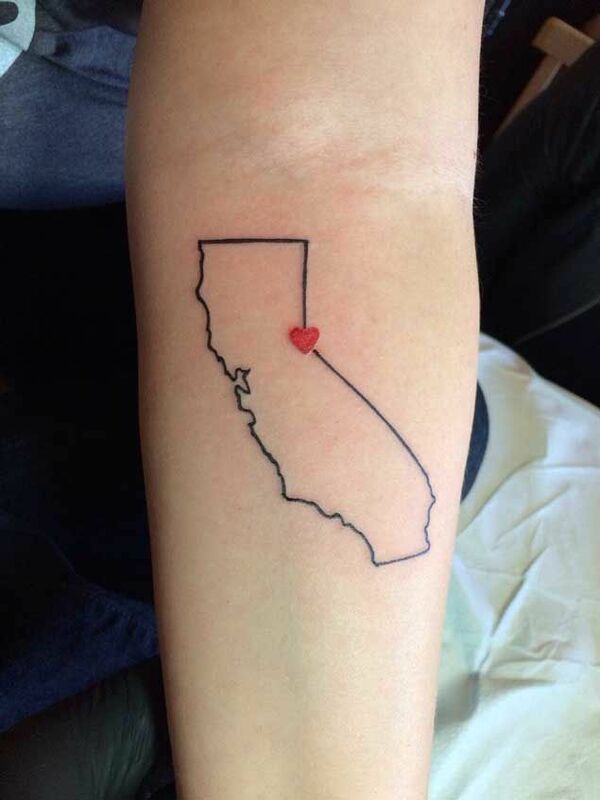 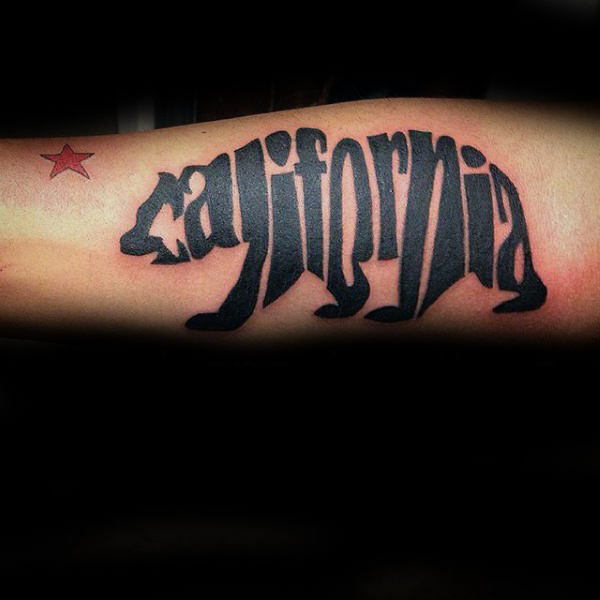 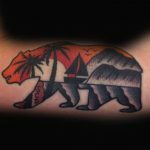 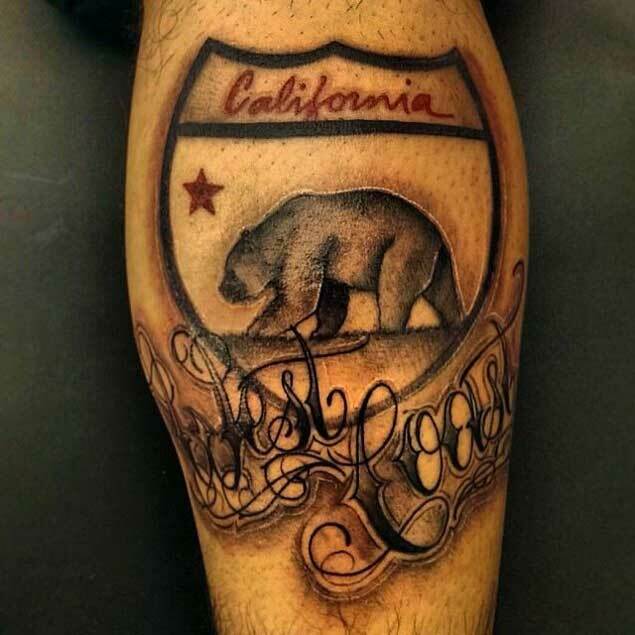 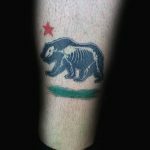 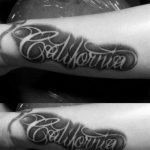 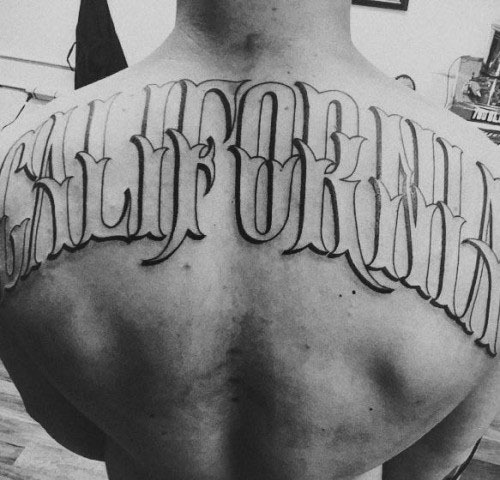 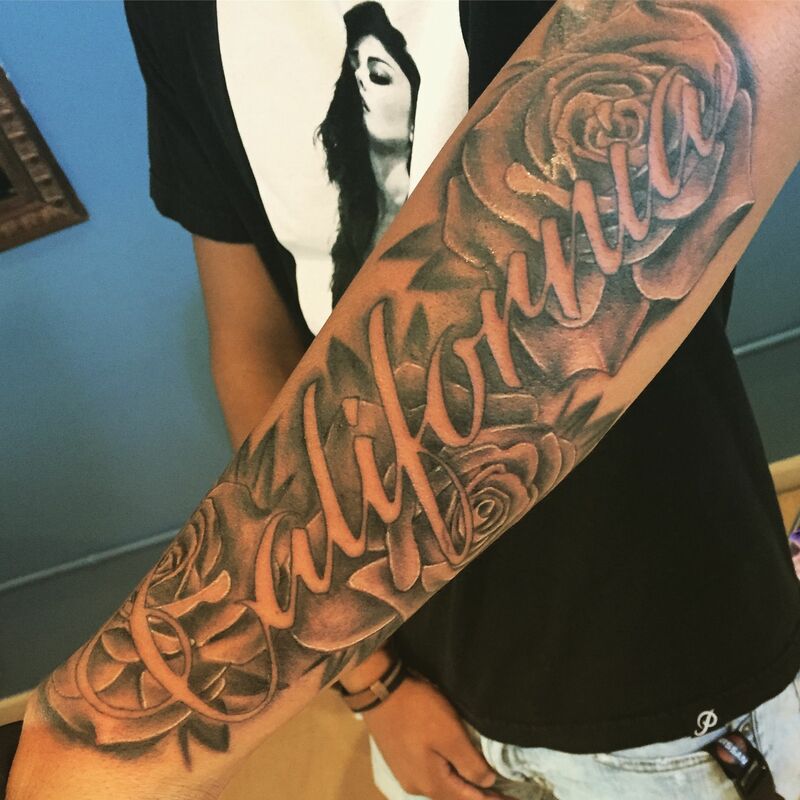 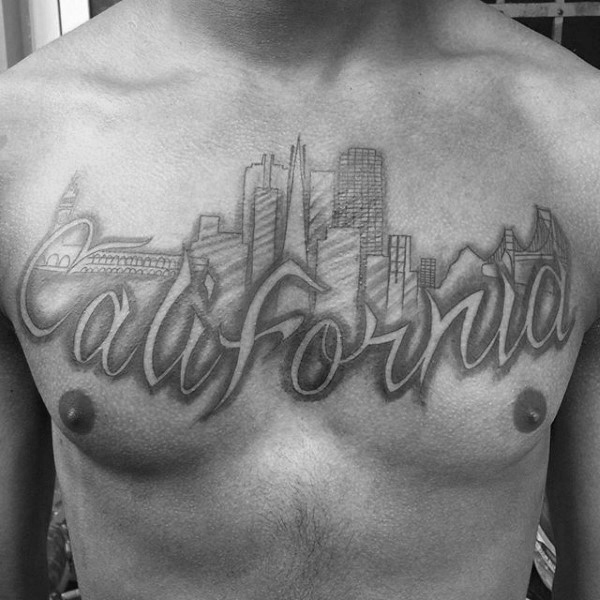 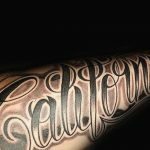 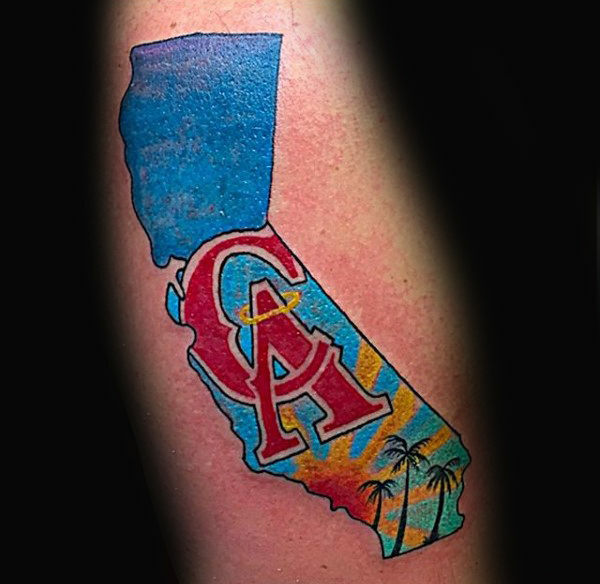 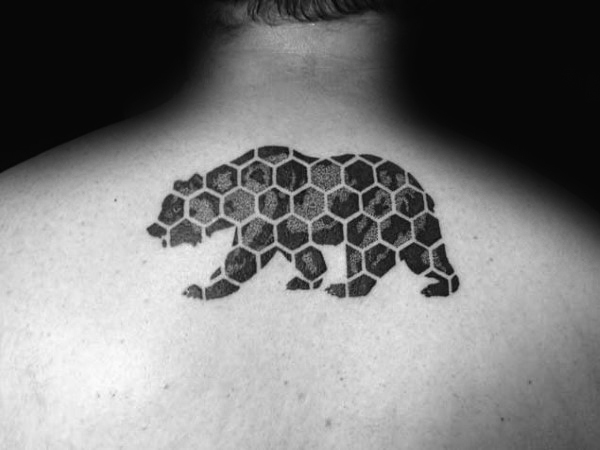 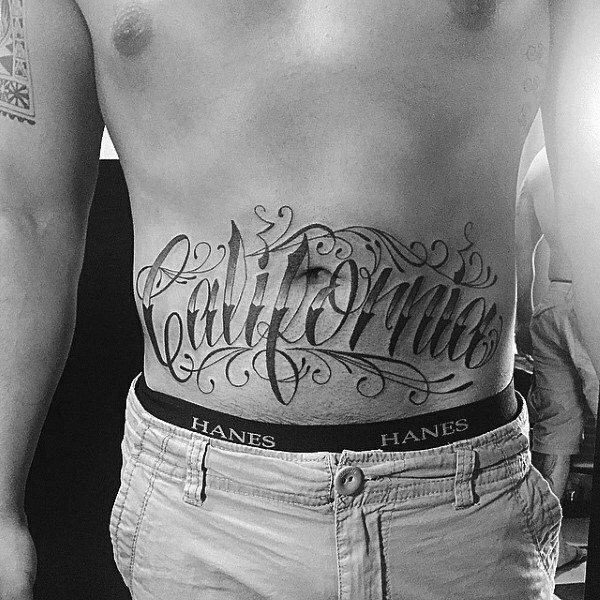 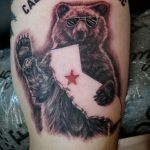 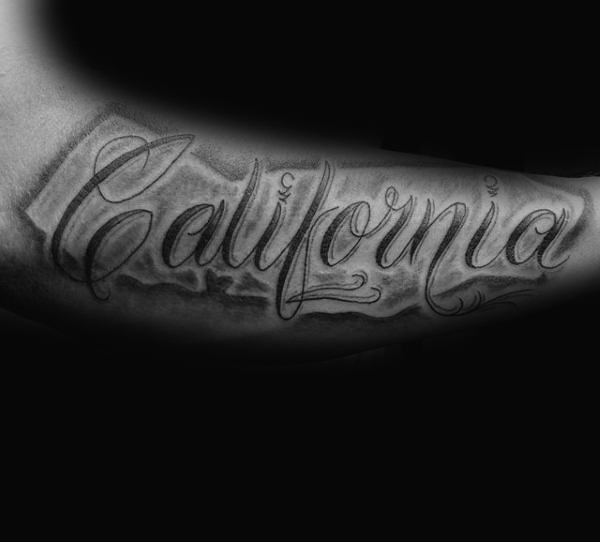 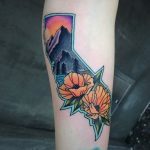 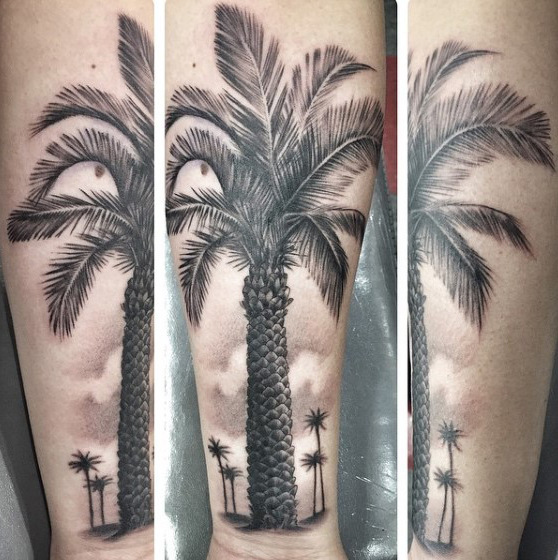 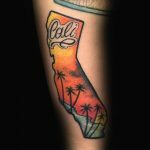 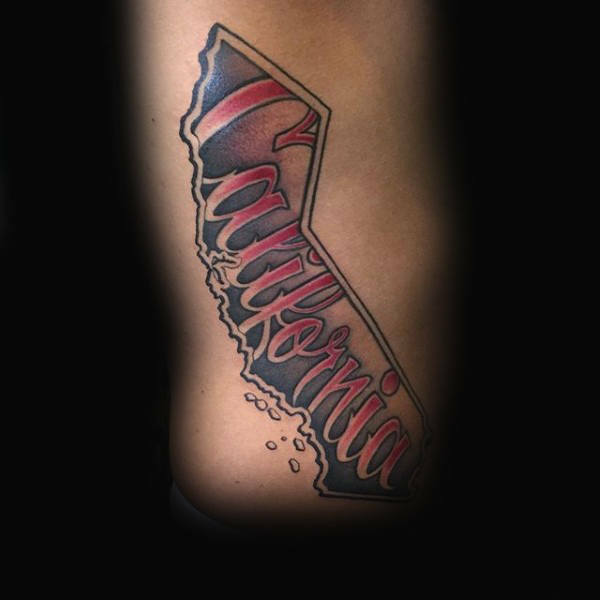 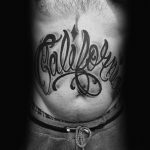 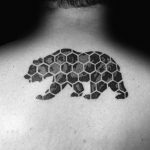 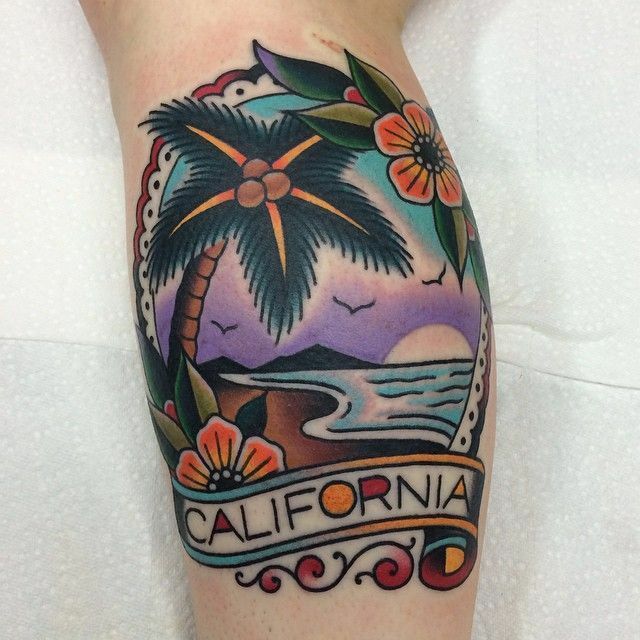 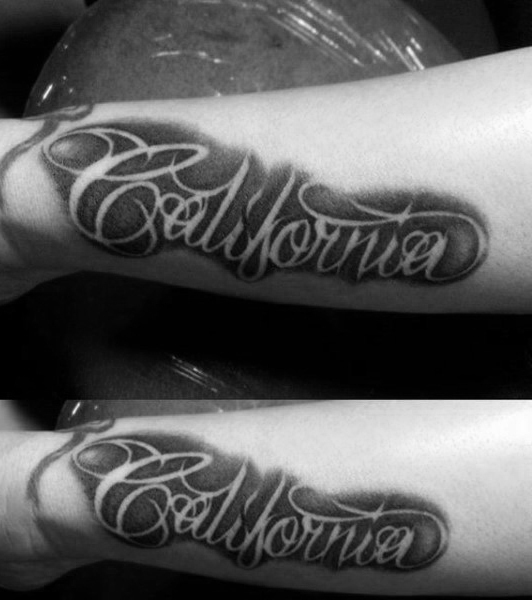 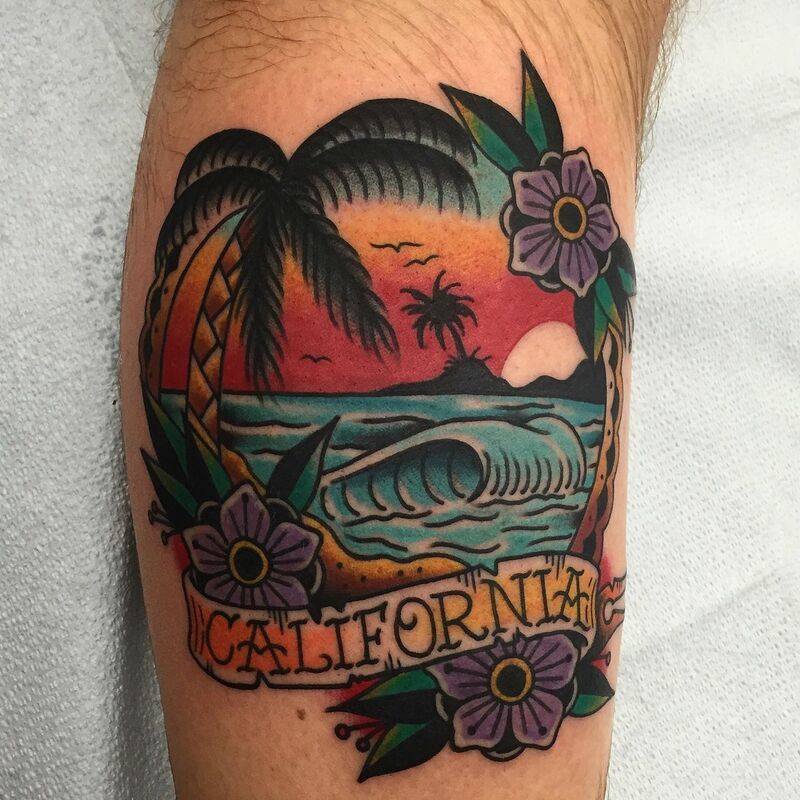 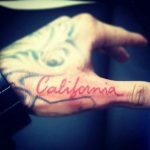 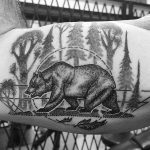 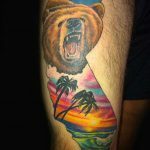 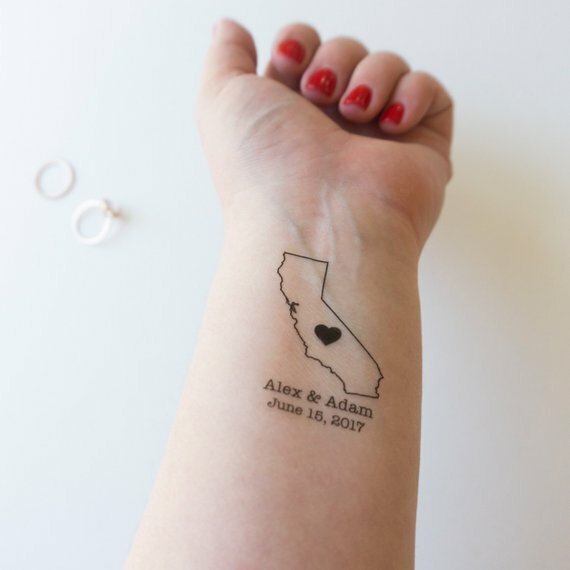 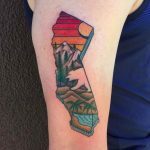 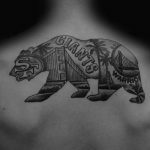 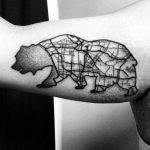 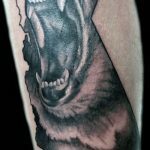 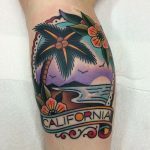 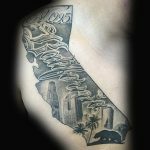 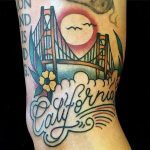 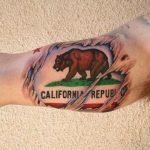 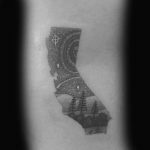 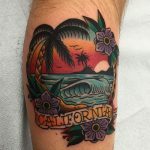 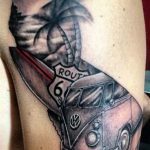 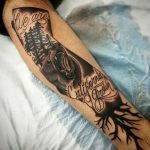 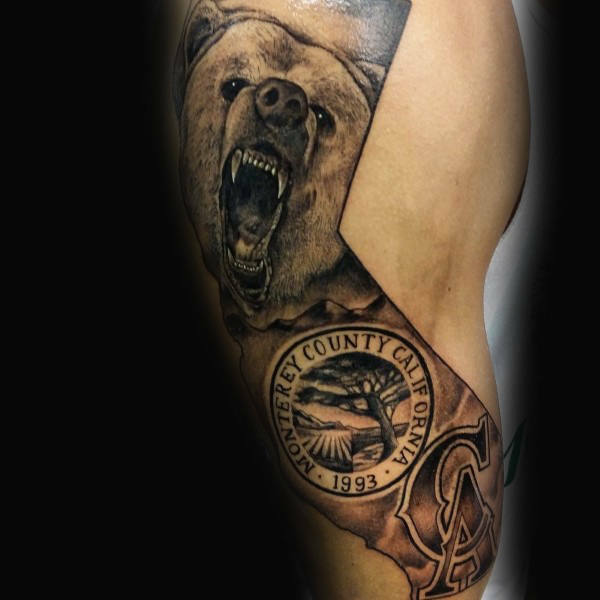 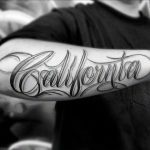 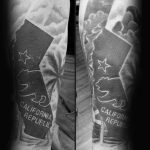 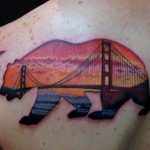 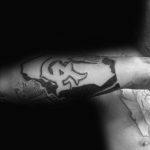 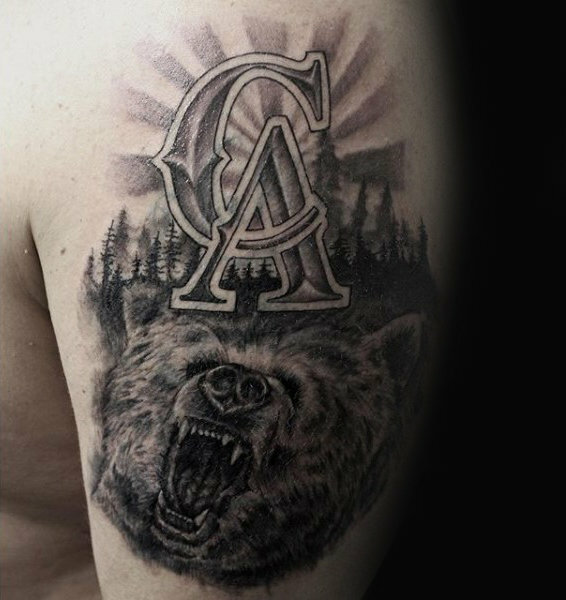 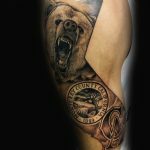 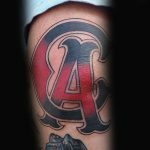 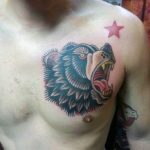 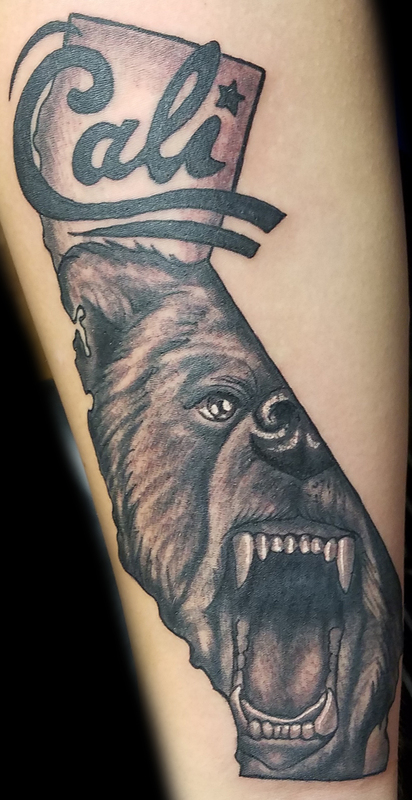 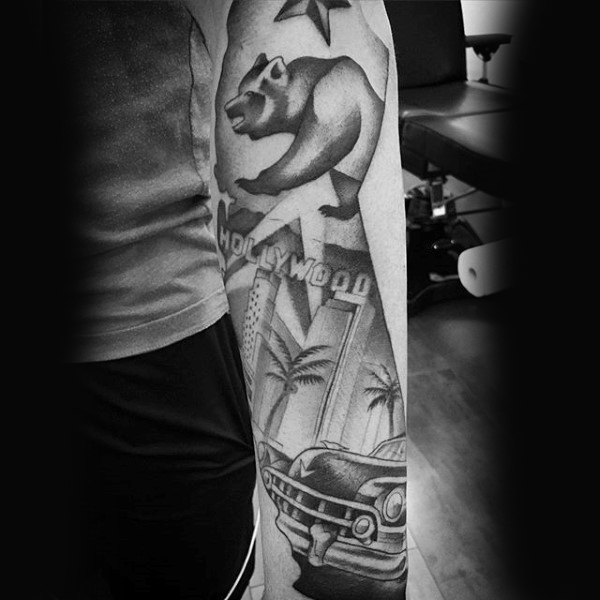 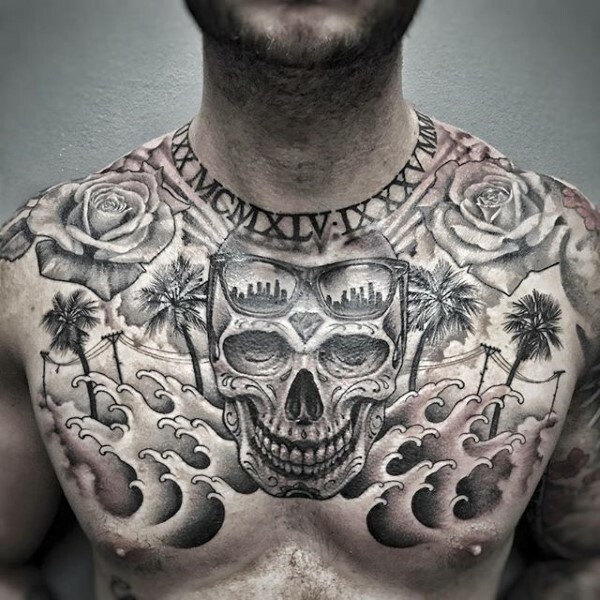 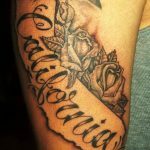 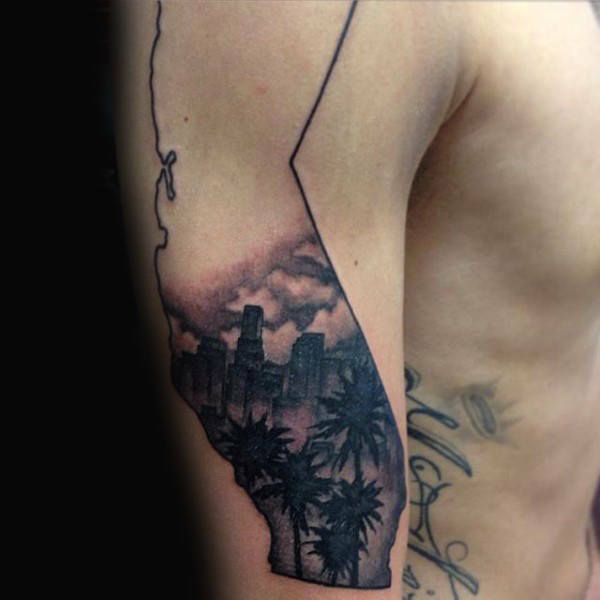 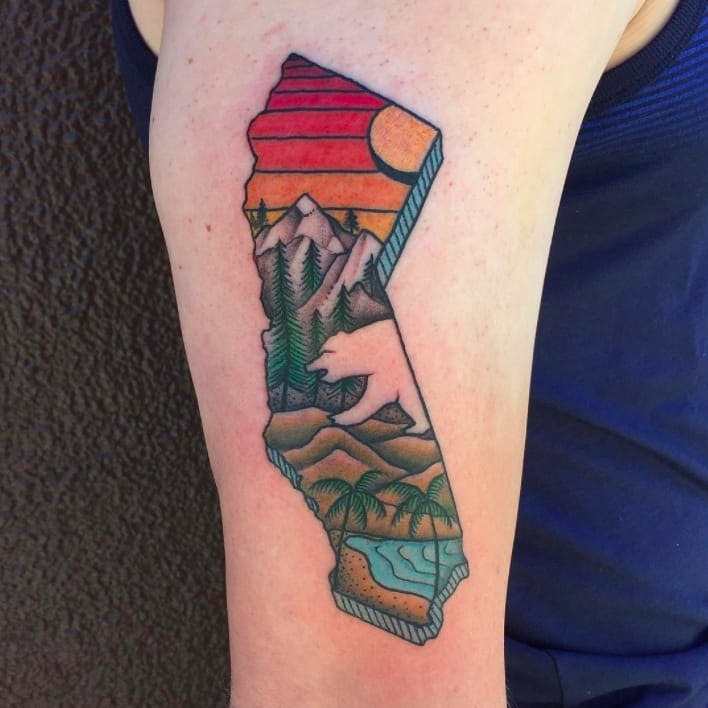 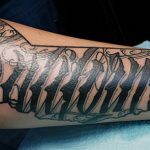 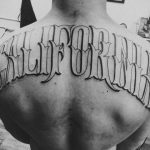 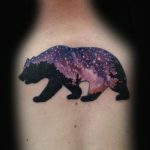 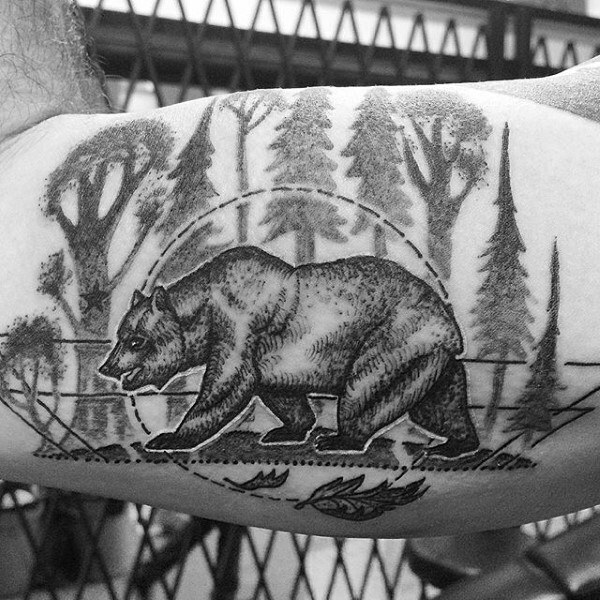 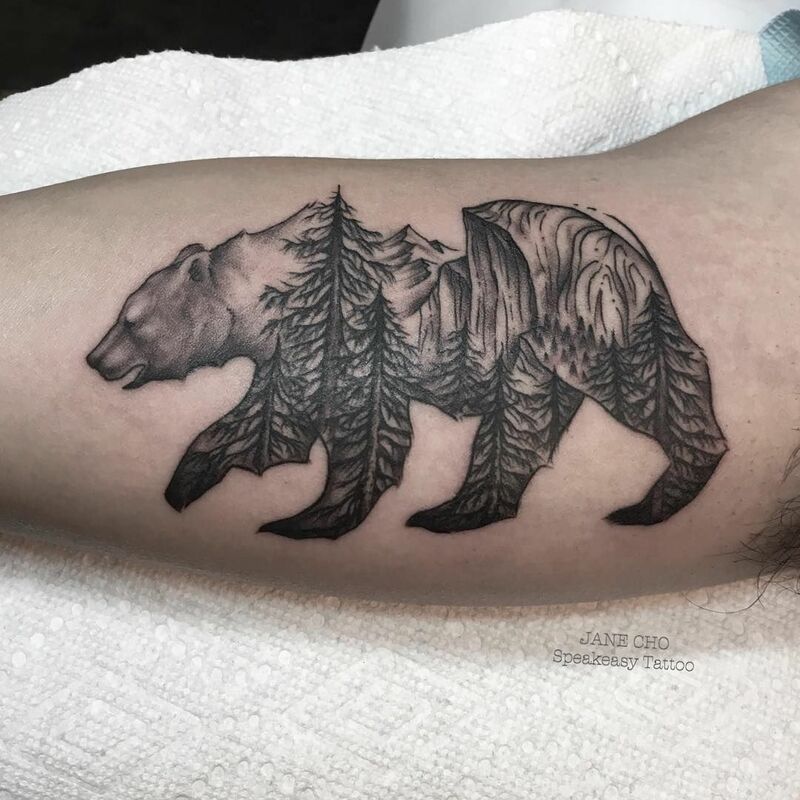 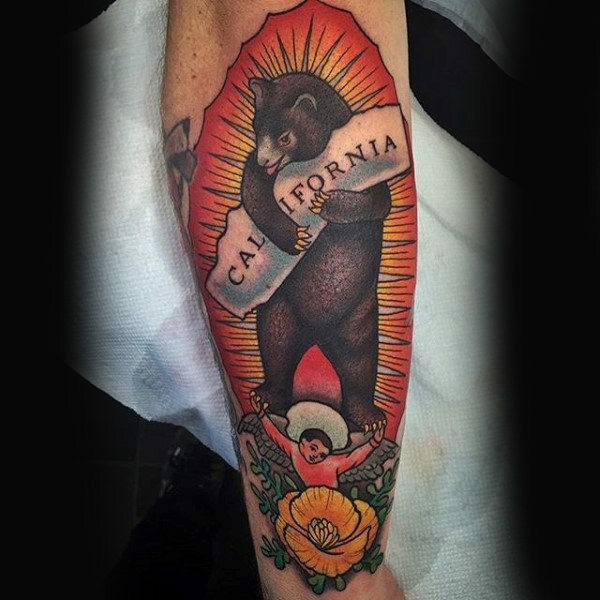 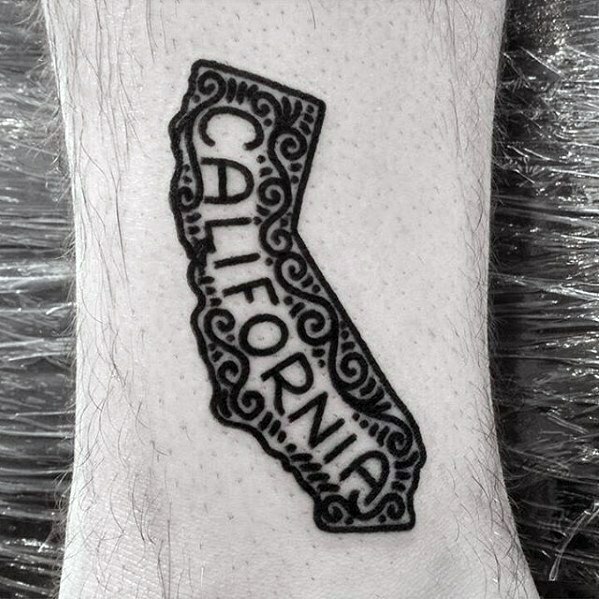 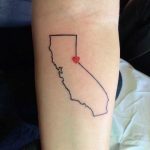 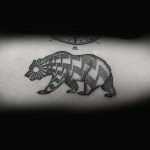 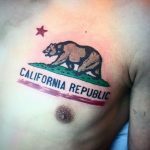 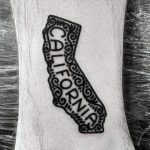 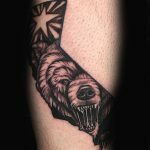 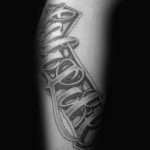 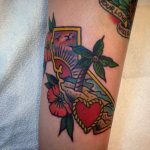 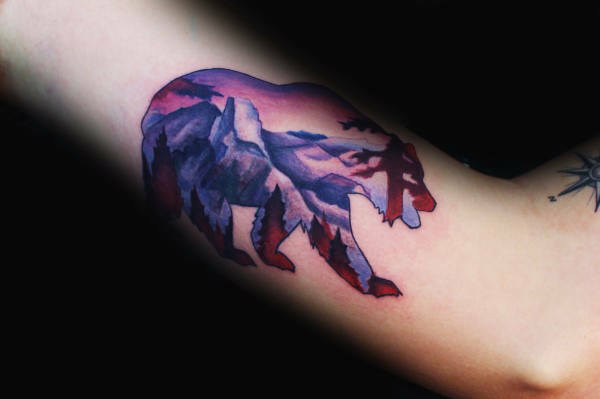 Most California tattoo designs consist Californian geographical map, the state animal Californian Grizzly Bear, iconic palm trees, serene coastlines, landmarks or simply the name of the state “California” in beautiful calligraphy. 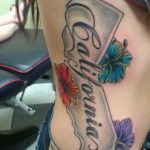 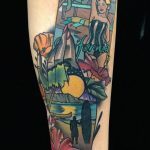 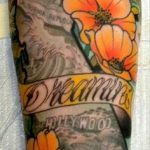 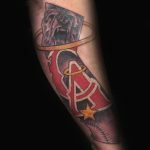 Here are some beautiful and creative California Tattoo designs to give you ideas for your California tattoo. 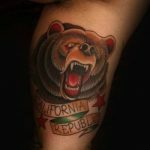 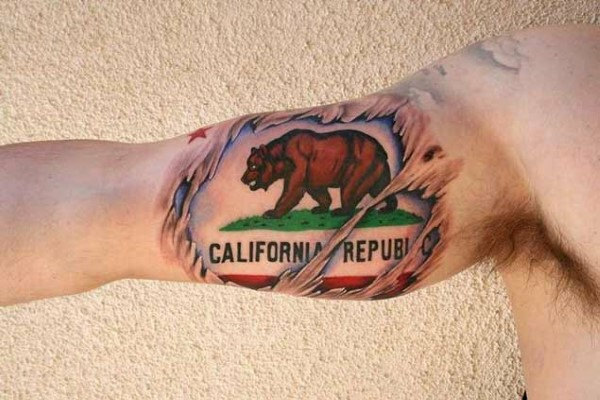 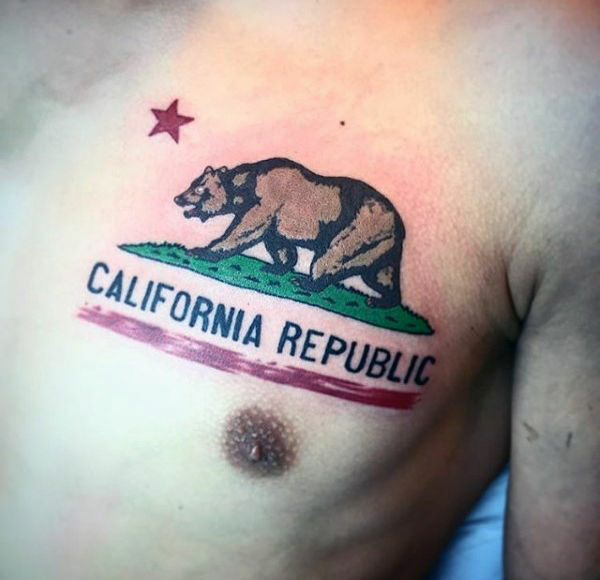 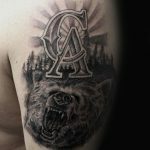 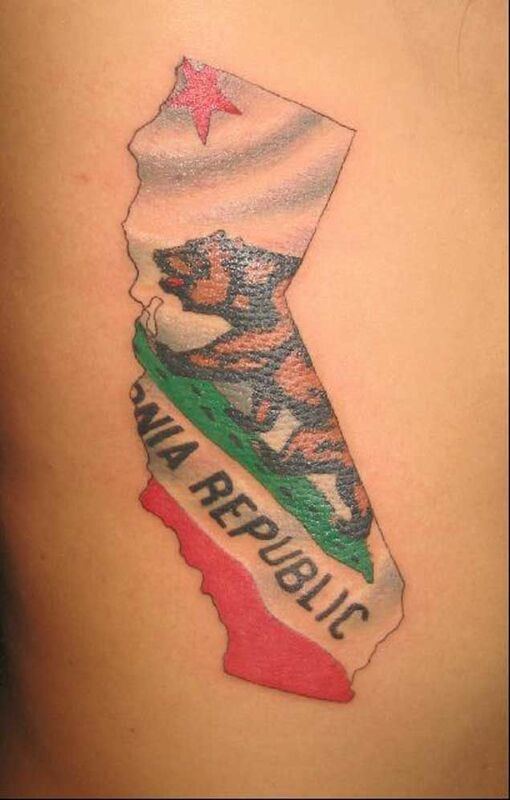 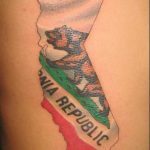 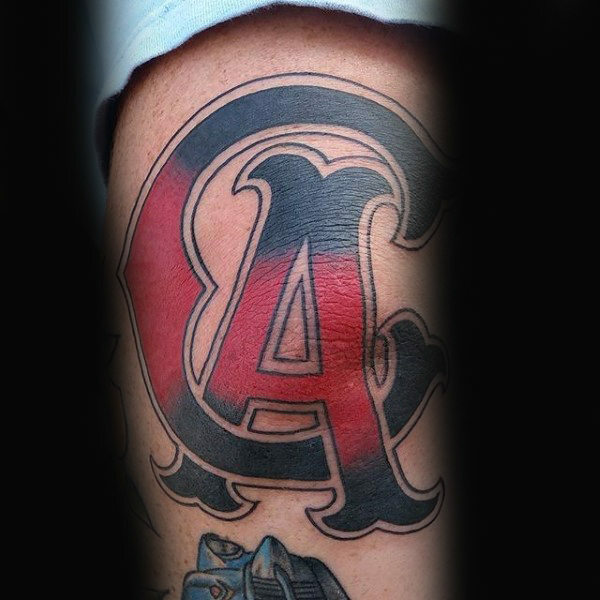 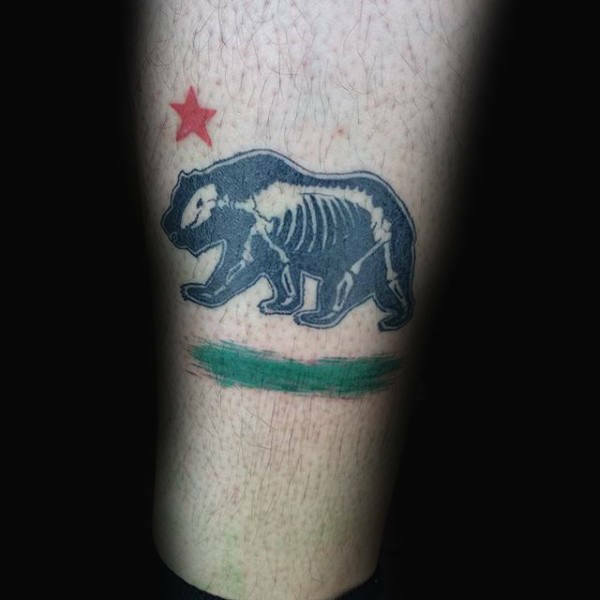 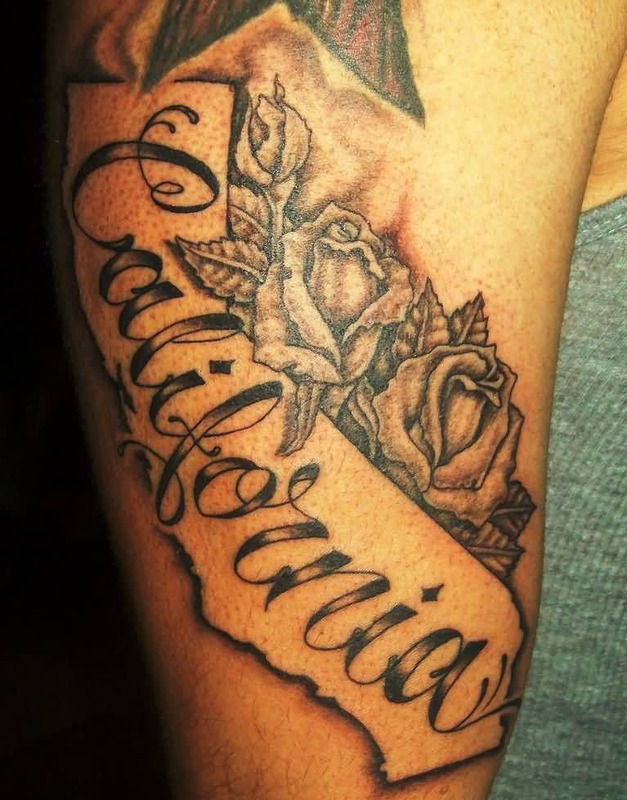 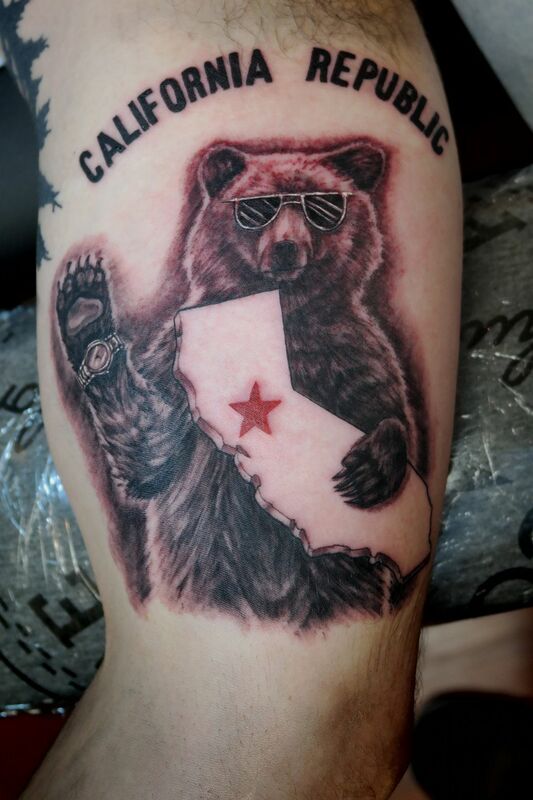 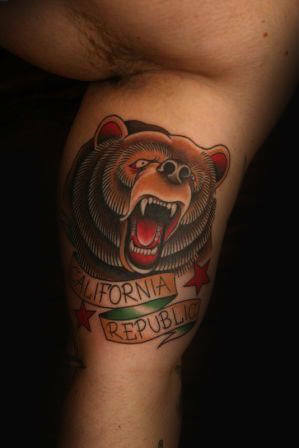 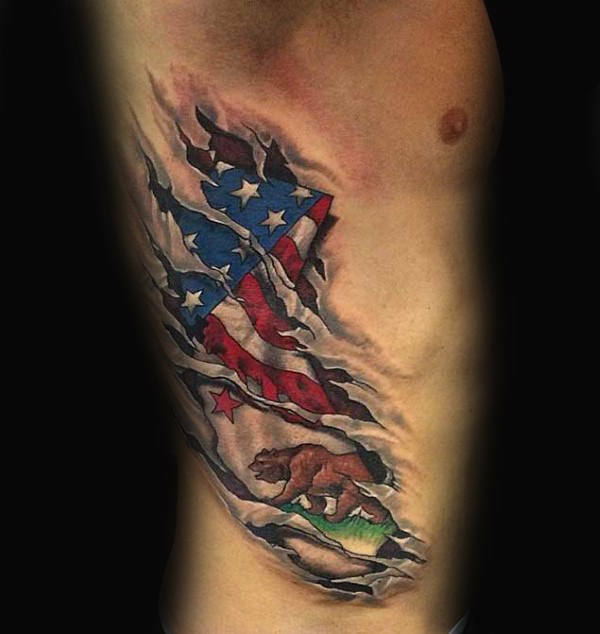 A lot of people have the symbols of California Republic on their California Tattoos. 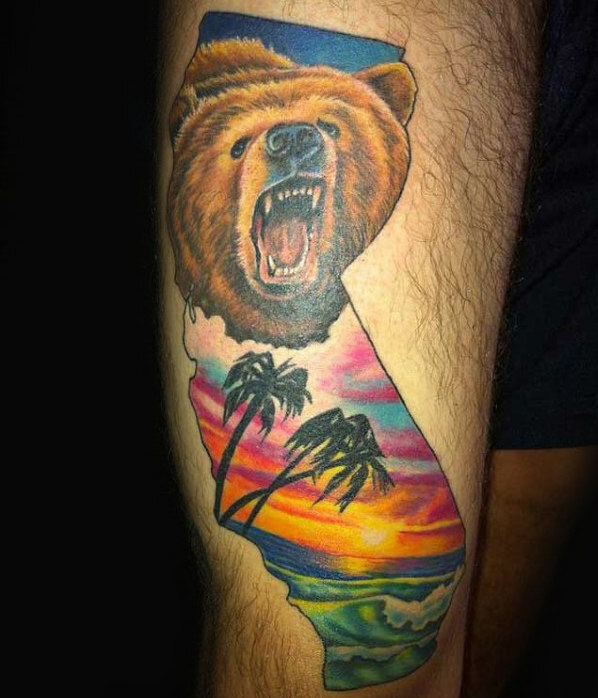 Californian Flag contains a single red star, a red stripe along the bottom, and a California grizzly bear. 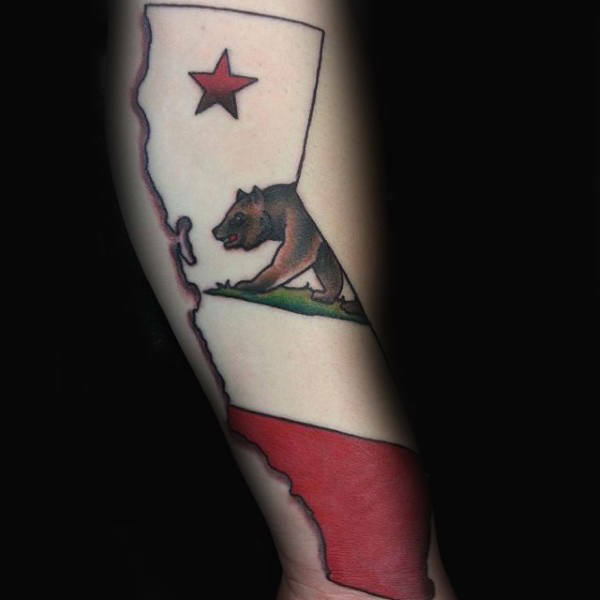 The Bear Flag is the official flag of the U.S. state of California. 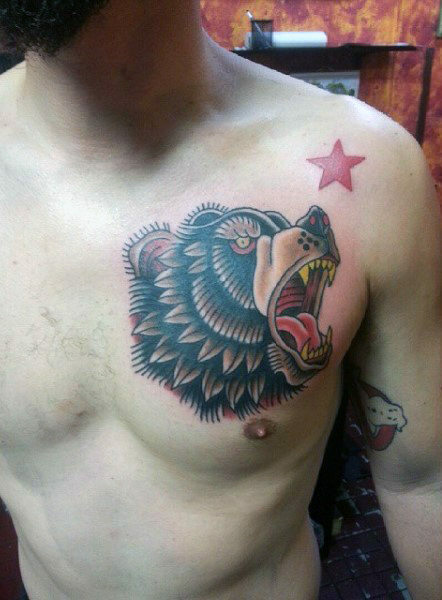 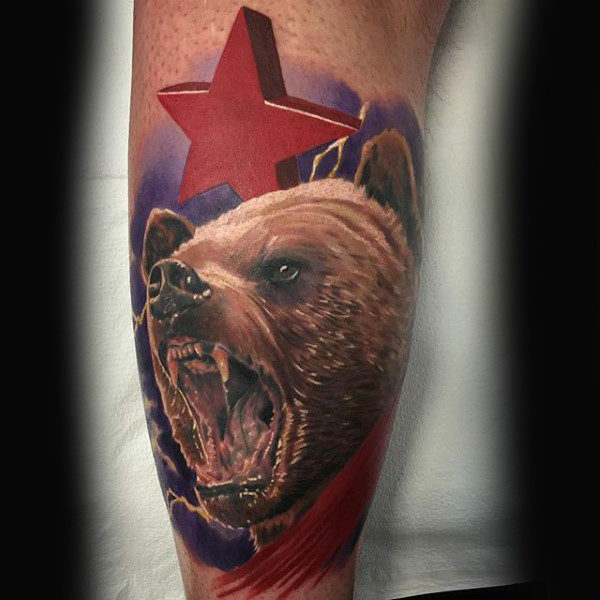 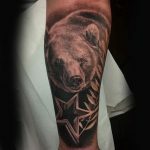 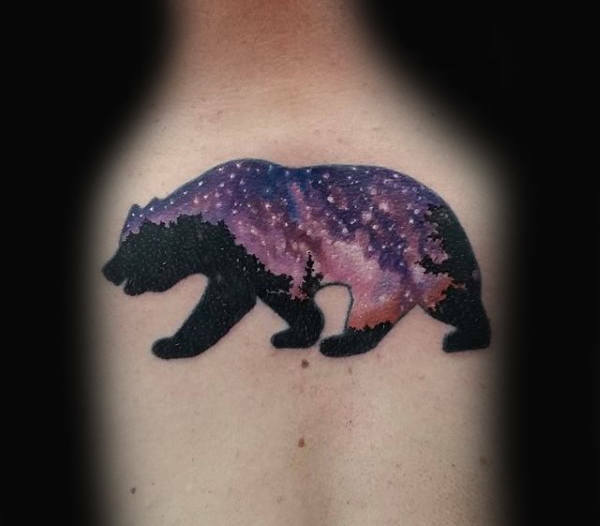 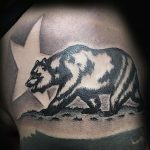 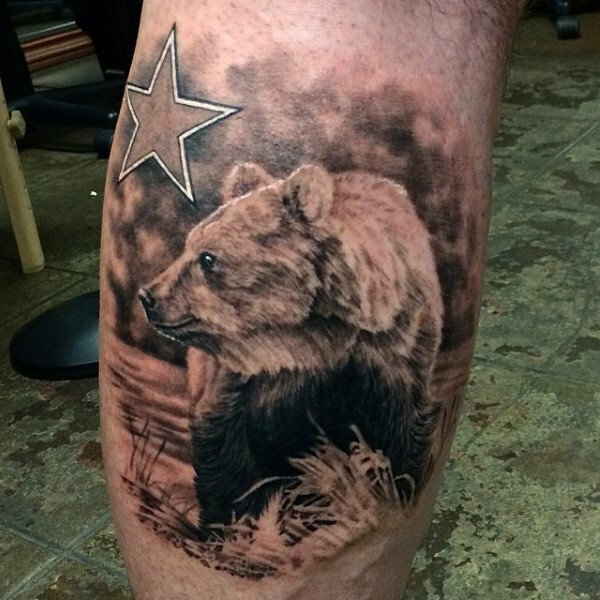 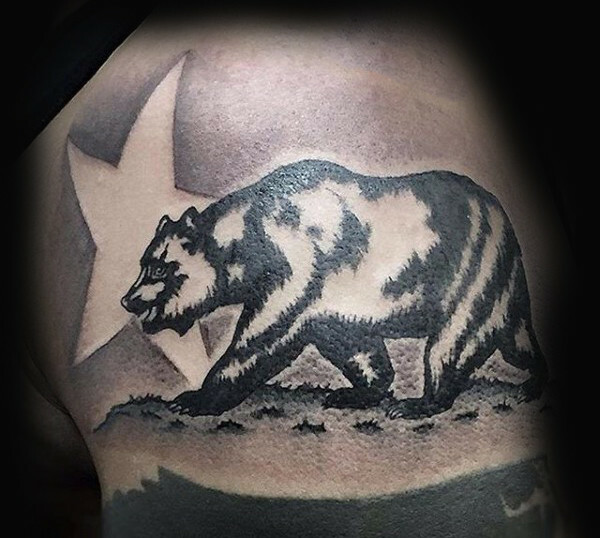 The California grizzly bear (also the official state animal) represents strength; the star represents sovereignty and the red color signifies courage; and the white background stands for purity. 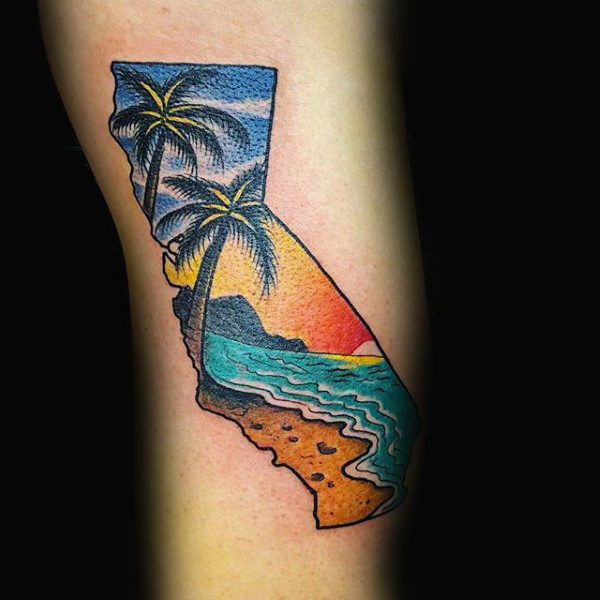 With 840 miles of coastline, California is bursting with beaches. Southern California is home to many infamous beaches known to be the best surf spots in North America. 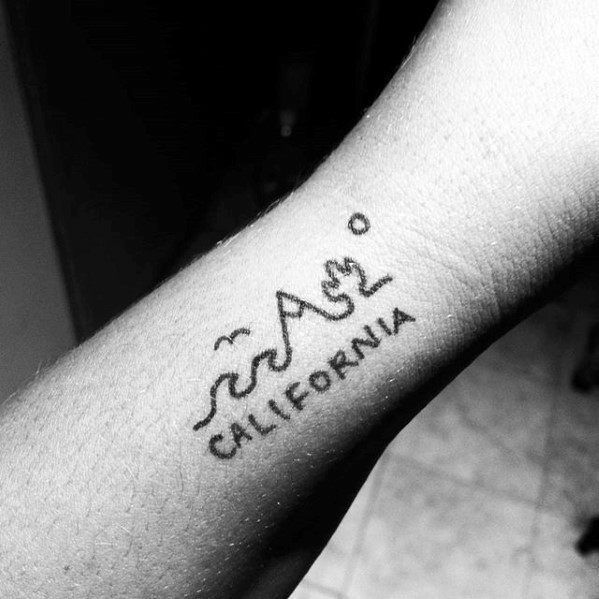 Many people only come to California for surfing or simply enjoy the beaches.